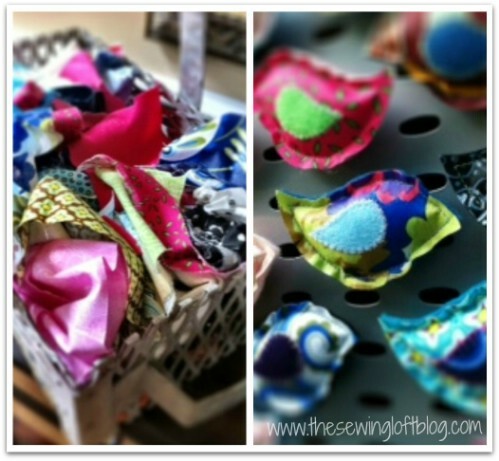 If you love sewing, then chances are you have a few fabric scraps left over. You aren’t going to always have the perfect amount of fabric for a project, after all. If you’ve often wondered what to do with all those loose fabric scraps, we’ve got quite a treat for you. So with the leftover fabric from those adorable Halloween costumes or your other DIY clothing projects, we’ll show you how to create some really great bags, wallets, and so much more. 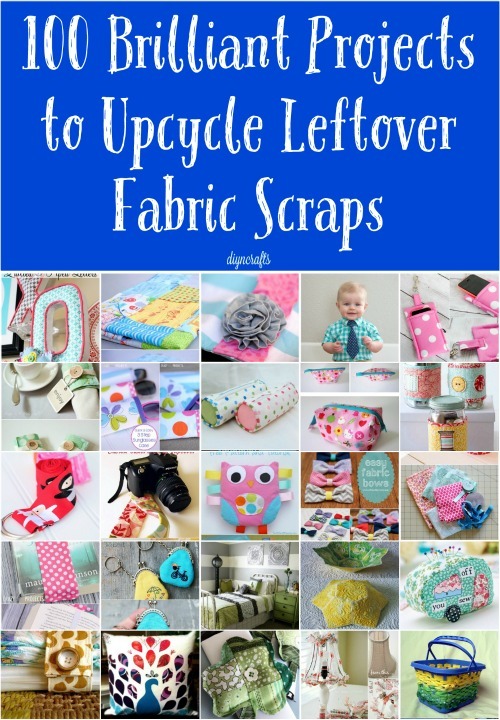 We’ve gathered up 100 different ways that you can put those scraps of fabric to good use. 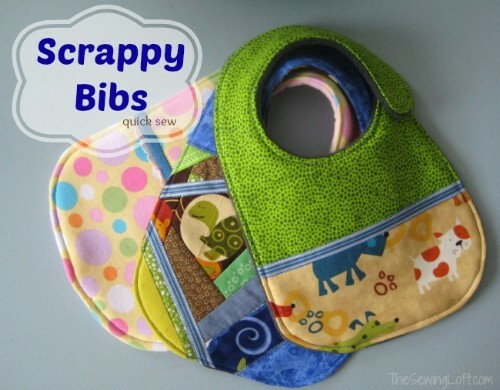 Some of these easy projects require no sewing, and all of them are perfect for scraps. Make yourself a necklace or belt, or create something for a wonderful gift for someone special. We’ve got something in here for everyone in the family and even a few things for your furry family friends. 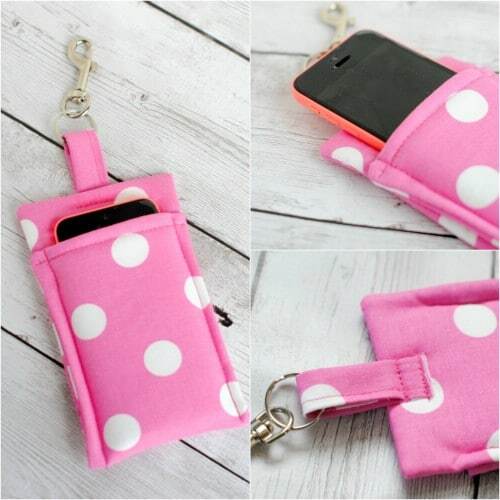 Create this adorable little wallet for your phone. 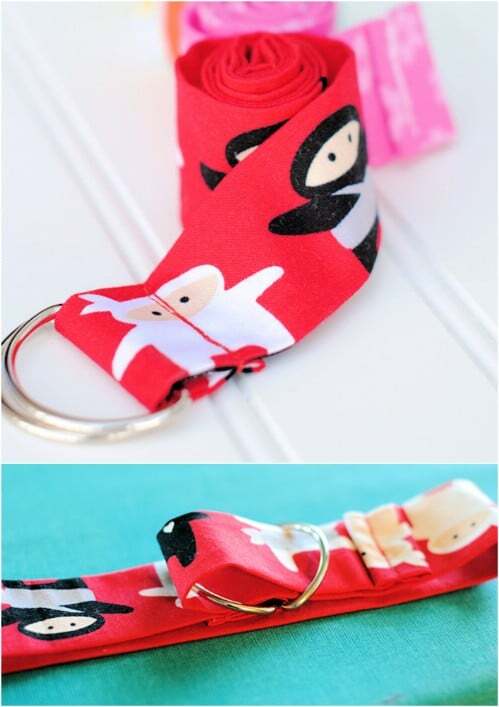 With just a small bit of fabric, you can make the perfect holder for your phone, and with the attached clip, it’s perfect for keeping your phone safe, too. This gorgeous monogrammed pouch can be made with those leftover trim scraps. 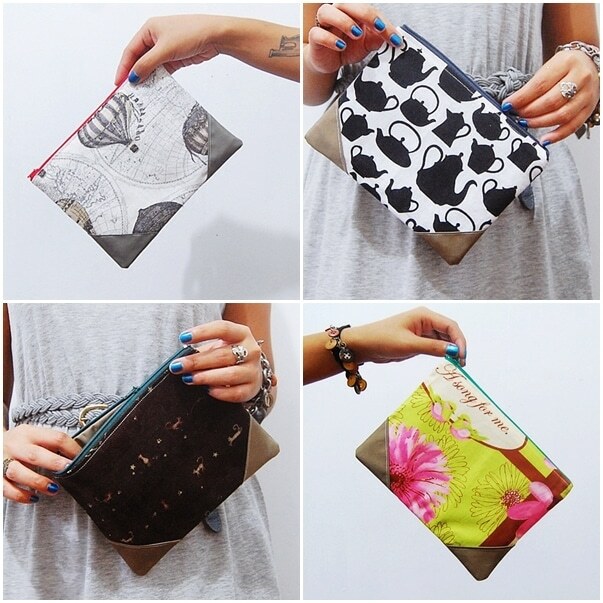 Just a few little pieces and you’ve got quite the coin purse to keep or give as a lovely gift. Dress up any room with these beautiful fabric flower accent pillows that you can make from extra fabric in the same or in contrasting colors. 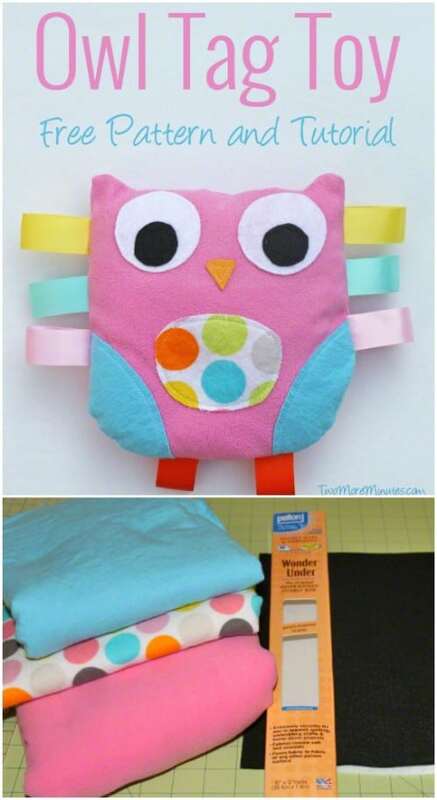 Each pillow takes less than an hour and they’re so easy, you can do one for every season. These are so adorable and so very helpful. Krystal over at Sassy Sanctuary has come up with an idea to keep those dishtowels from falling on the floor. She has crafted belts to hold them in place. They are really cute and they really do the job. You just need a bit of fabric and some Velcro and you can decorate them any way that you want. You can get really creative with this and imagine how great these would be to give out as gifts. You can make them to pair with a holiday kitchen towel for those people who are really hard to find gifts for. Tie those scraps of fabric around marbles to create these lovely necklaces. They’re perfect for gift giving around the holiday season, or make them in different colors to match all your favorite outfits. This adorable skirt for kids is not nearly as difficult to make as the name implies. You just take two squares of fabric and layer them. 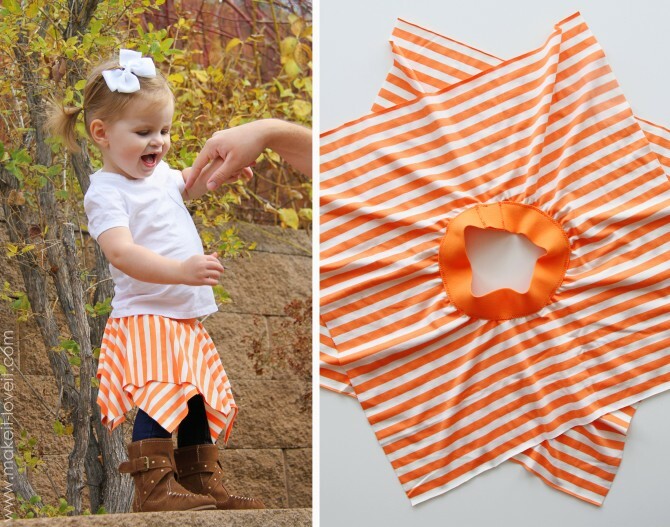 It turns into the cutest skirt for your little one or you could make the fabric a bit larger and do one for yourself. 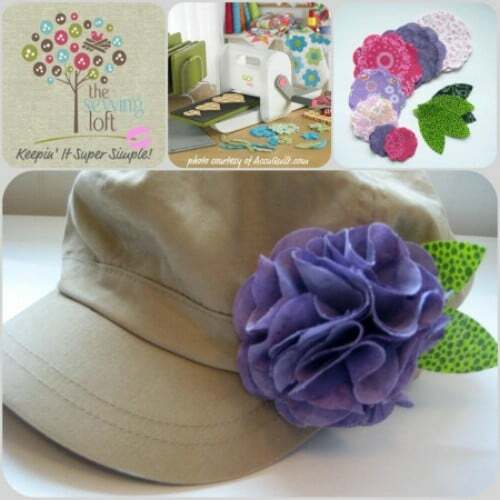 Because it’s so easy to make, you will want several of these to wear for different occasions. Pair it with leggings and boots and it’s an adorable fall outfit or just have it for summer with flip-flops. The idea comes from Make It and Love It and we really do Love It! 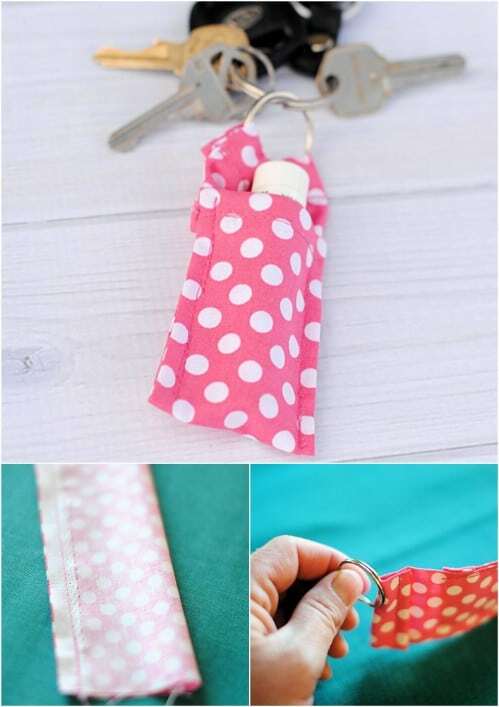 This keychain Chapstick holder is easy, and the perfect fashion accessory for teens. The best part? It takes literally only five minutes to make, and needs only a small scrap of fabric. Ok, so you know you love huge pillows. This one allows you to use a lot of those fabric scraps and quilting squares, and you create an enormous pillow that’s perfect for cuddling indoors or out. 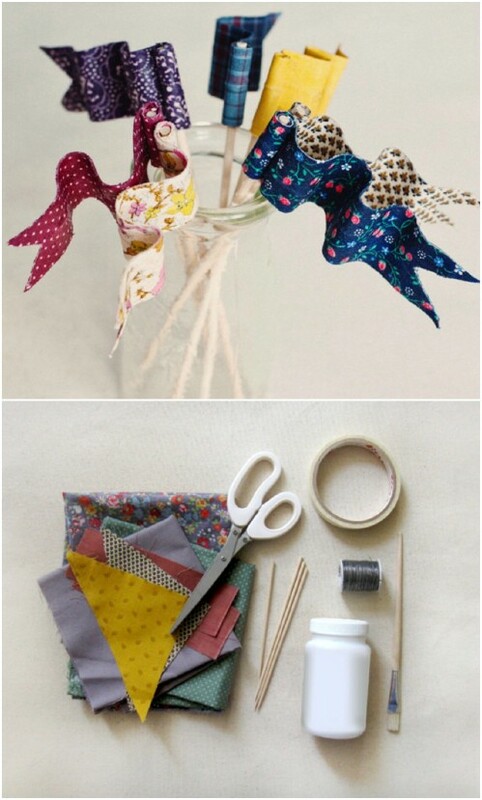 This project lets you use all those fabric scraps and helps you to stay organized as well. 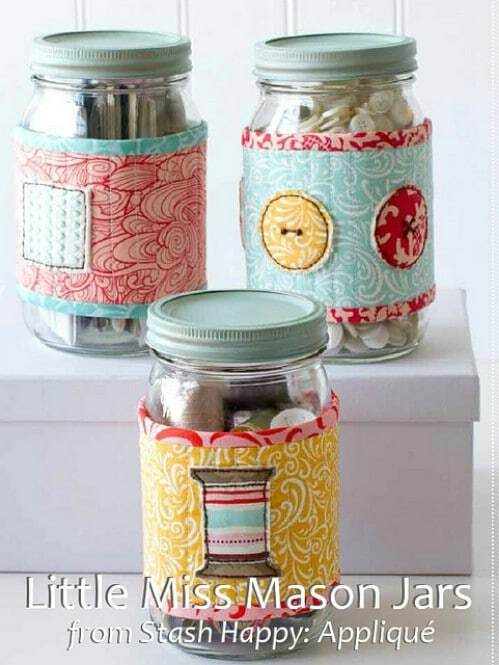 You just cover mason jars with fabric and then fill with whatever you want. They’re easy and adorable. 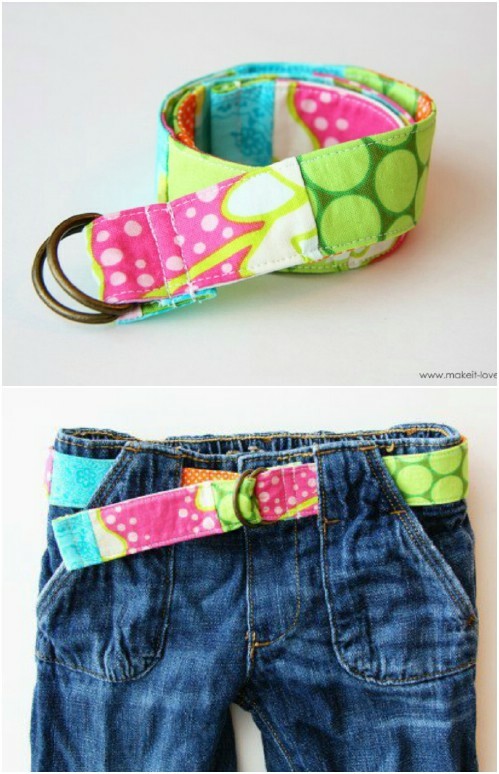 With just a strip of leftover fabric and a D ring, you can make these really cute kids belts. Make a different one for every outfit! They’re very easy to make and oh so adorable. These key fob lanyards have a secret pocket, making them perfect for stashing cash when you’re on the go. They’re also easy to make and take very little fabric. 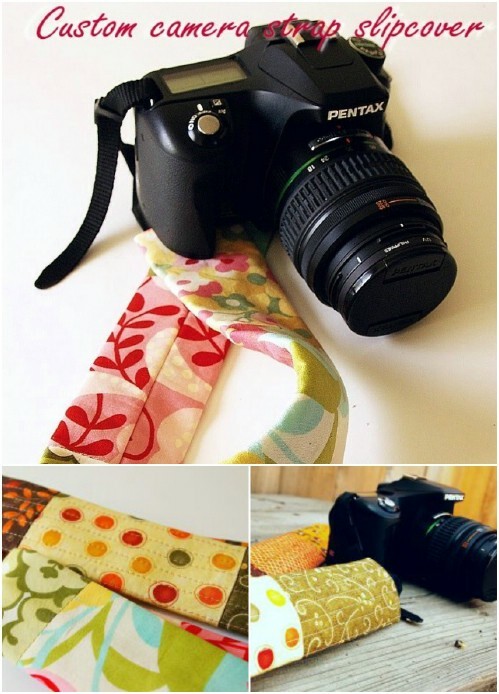 With this quick and easy sewing project, you’ll create the perfect strap cover for your camera, that’s both unique and comfortable. Make one for your favorite photographer. Believe it or not, this gorgeous Home for the Holidays ornament is made with those leftover fabric scraps. It’s a relatively easy project, and one that is sure to draw attention when it’s finished. Make a bookmark for all of your favorite readers. These take only about five minutes each, and they’re the perfect gift for teachers, students, or anyone who loves to read. 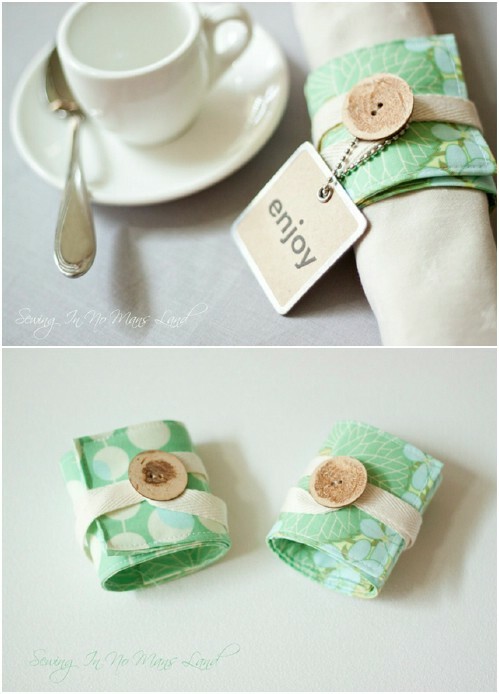 Make these gorgeous napkin rings with scraps of fabric, and create one for every season. Or, make a set to give as a special gift for the holidays, an upcoming wedding, or any other special occasion. 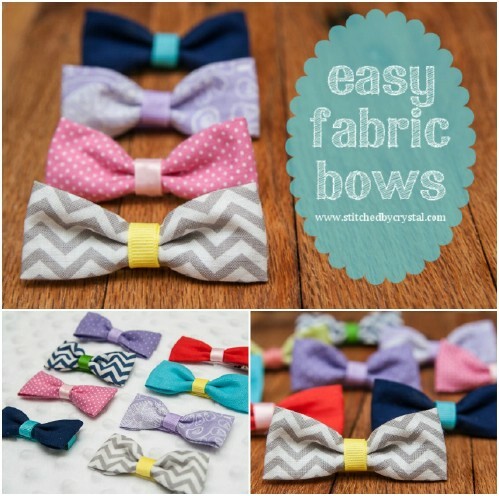 Every little girl needs a great collection of hair bows, and these easy to make fabric bows are perfect. You just need a small piece of leftover fabric for each one, and you can create something for every day of the week. 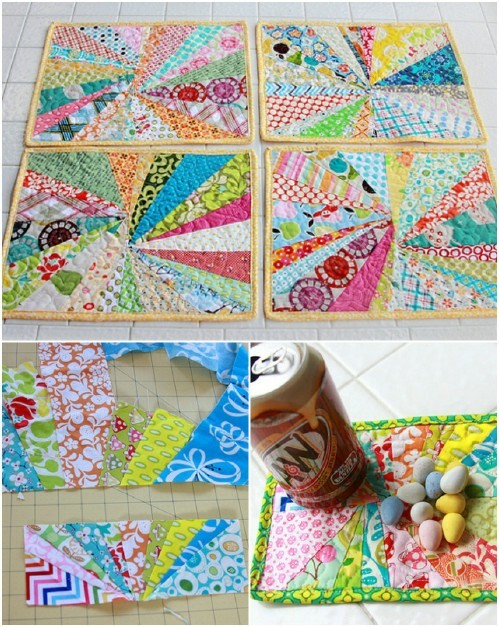 Use those old quilt squares to create this colorful and useful mug rug. The starburst design is gorgeous and it’s a really easy project from start to finish. Beautiful Make It Yourself Rag Quilt – So Fun and Easy! This beautiful rag quilt tutorial is on Imperfect Homemaking. You basically just have to cut your quilt pieces and sew them together. Even if you have never made a quilt before, you can easily put this one together. The choice of colors and patterns is all yours so you can be as creative as you like. This is a great way to spruce up a bedroom and if you have old fabric or clothes lying around you can just cut the quilt squares from that so it won’t cost you anything but a little time. Can you say great gift idea? 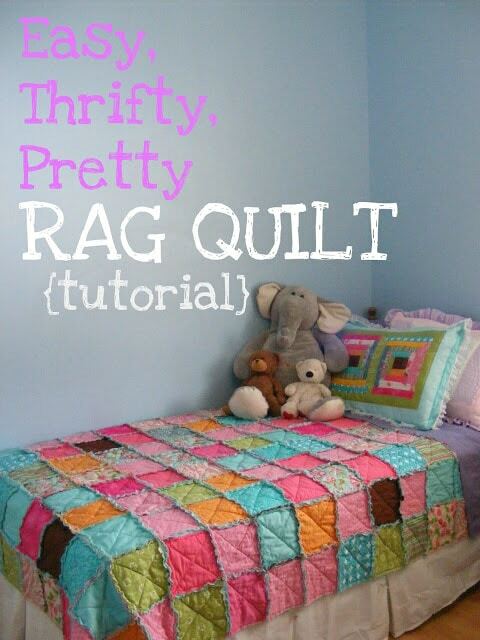 DIY Instructions and Project Credit: Beautiful Make It Yourself Rag Quilt – So Fun and Easy! 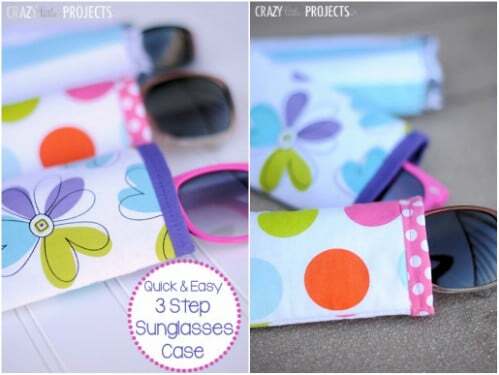 Keep your sunglasses or reading glasses safe and fashionable with this gorgeous and easy to make glasses case. Just a few scraps of fabric and some fusing, and you’re all set. These little neckties will make your little guy look like such a man. They are really easy to make and so adorable. Make one for all of his little suits. 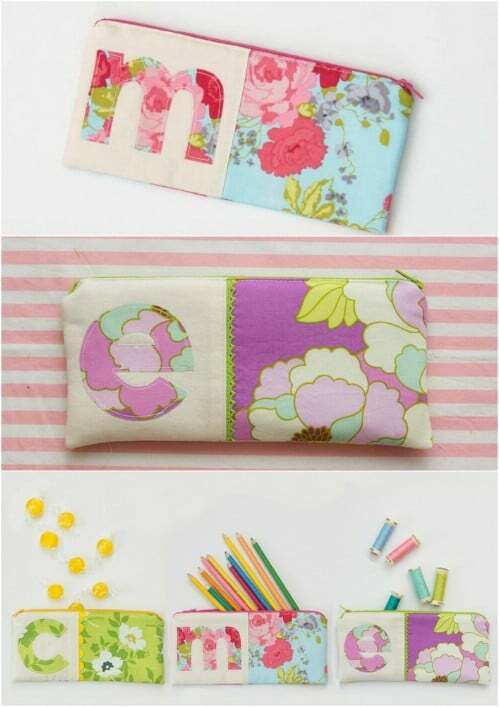 Make back to school easier, fashionable, and less expensive with this homemade pencil case that you can create from a few pieces of scrap fabric. This one is so easy you’ll want to do several, maybe one for every week! How much do we simply adore this little owl toy? What a perfect gift for a new baby! This one is so very easy and you know you just have to make it. 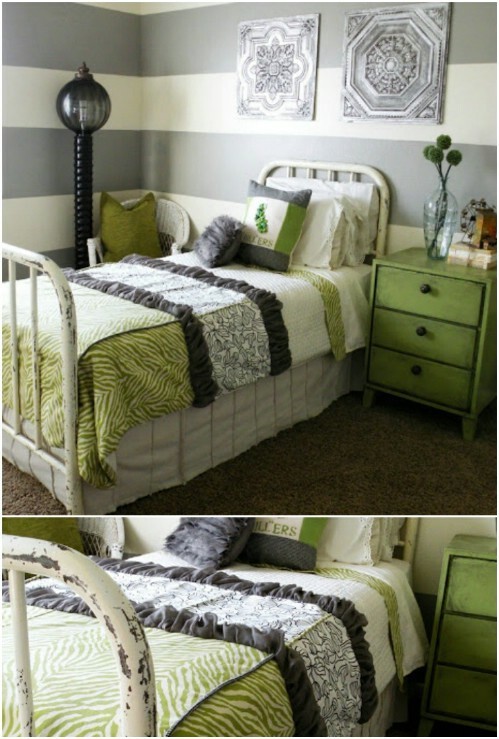 What a gorgeous way to use up those fabric scraps and give any bedroom a great new look! 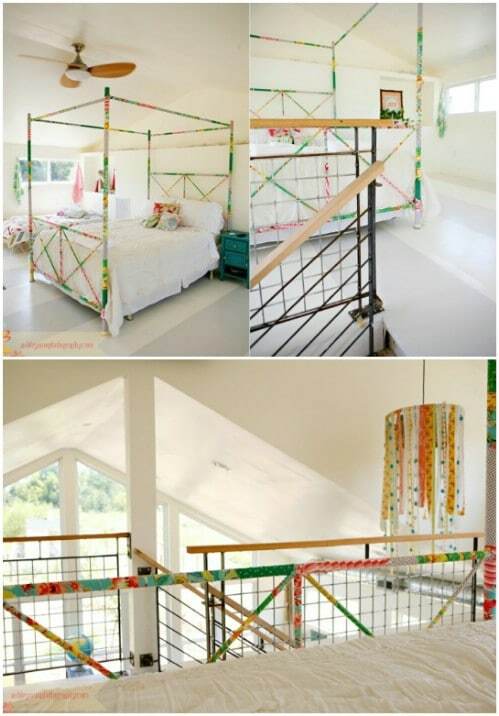 You just cover your bed frame with fabric, and you can do whatever design you want. What we love most about this project is how unique it is, and it’s much easier to do than you may think. 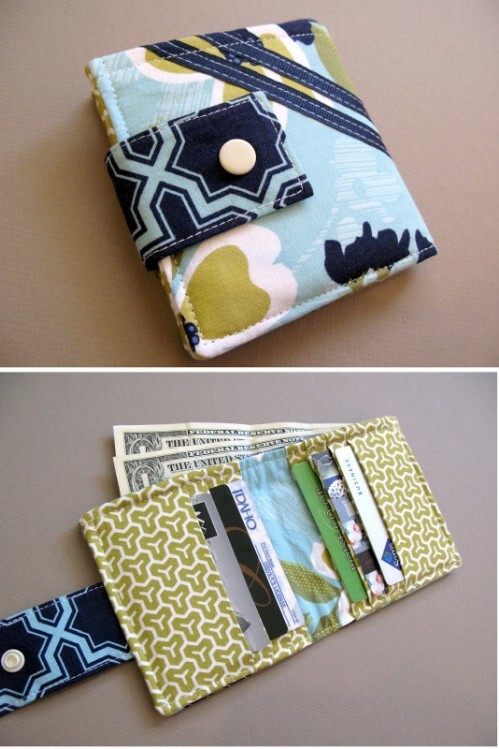 This quilted wallet is beautiful and so very easy to create. Who needs to pay designer prices when you can make it yourself? This one is a bit more complicated than just gluing fabric, but definitely worth the effort. 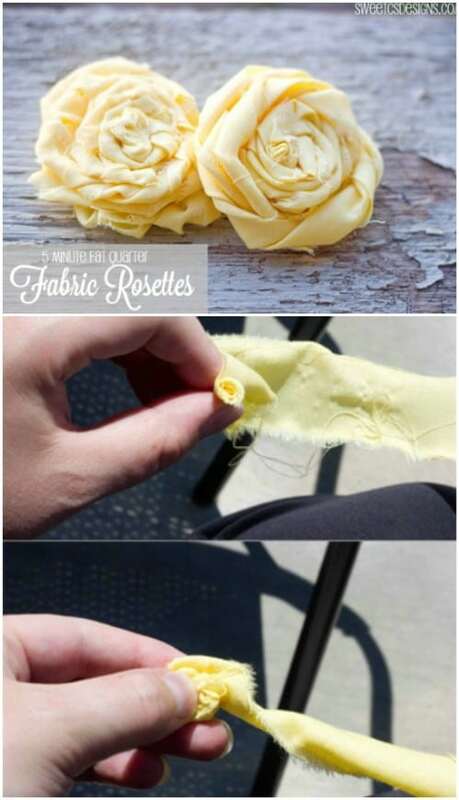 These roses are easy to make and are the perfect complement to any of your other sewing projects. Use them to dress up pillows, clothing, or whatever you want. You can make one in about five minutes. This little pouch is great for makeup, coins, or whatever you need to carry without worries of moisture. It’s an easy to make pouch, and it takes just a few pieces of fabric. 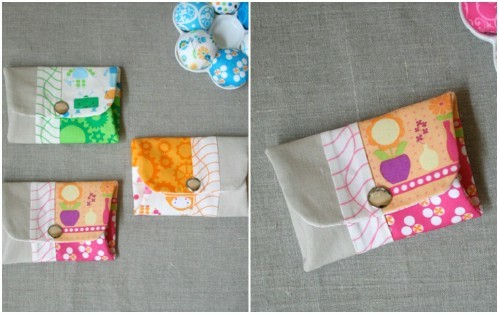 With a little sewing, you can easily create this pouch in an afternoon. What a great gift idea for a teen who just turned licensed driver! 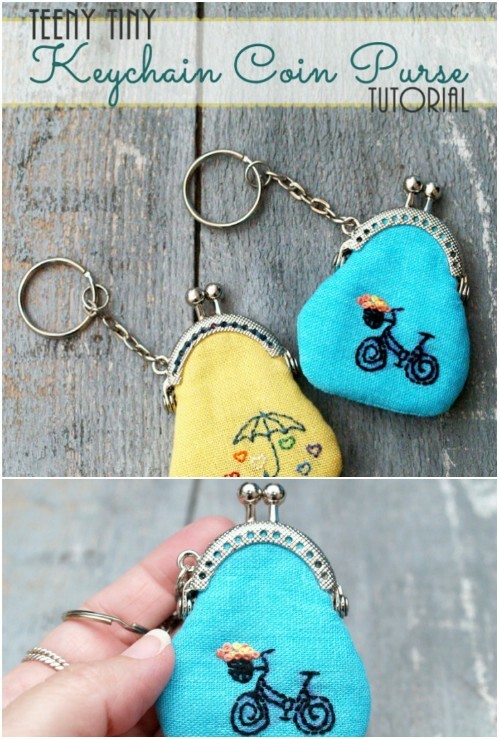 These little key chains are both unique and easy to make. Add embellishments like buttons, bows, gems, or whatever you want to make each one as unique as who you plan on giving them to. 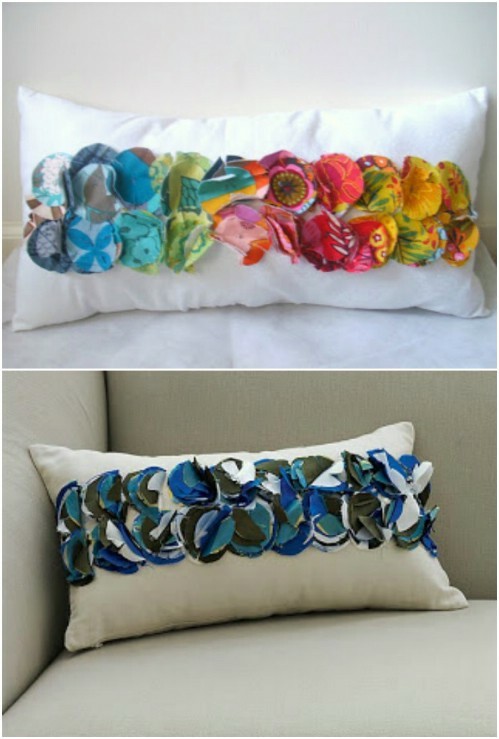 What better way to put those old fabric scraps to use than making beautiful art? You can do any design you want, depending on where you want to hang your artwork. 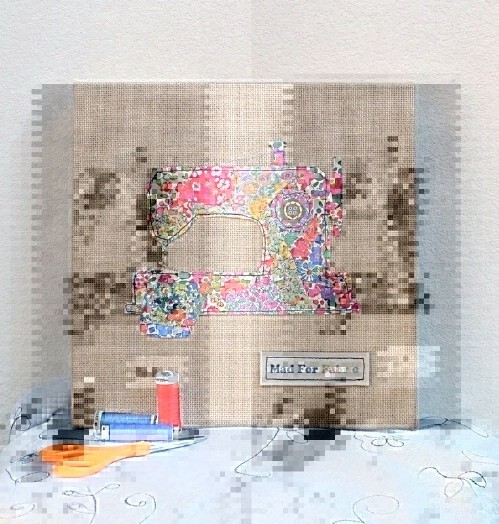 A sewing machine collage is perfect for the sewing room, but it’s up to you what you do. You know you want to keep those cords tucked away safely, and this easy to make cord keeper lets you do just that, and while using up some of those fabric scraps you have laying around. Velcro closes the keeper over your cords, giving you an organized and stylish desk. Don’t just put plain bobby pins in your hair, decorate them with scraps of fabric and make them fabulous. We love this idea and it’s so easy to do. You can make several of these in an afternoon and always have lovely pins to wear. So we’ve seen fabric roses, but there are tons of other flowers to consider, too. These fabric flowers are so easy to make and you can use them to decorate everything from pillows to headbands, or any other craft you want to make. Each one takes about five minutes to make. 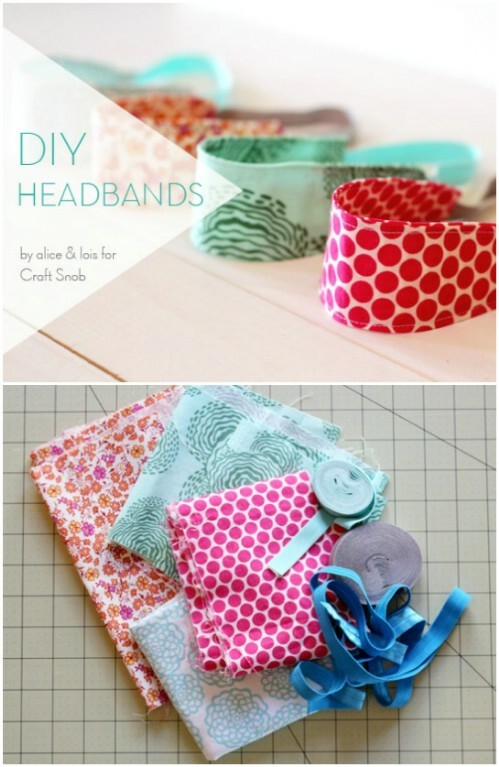 With those scrap pieces of fabric, some elastic, and a template, you can create these pretty little headbands. They take very little sewing and are super cute. Any little girl is going to love wearing them. This is an idea that the little ones will love. 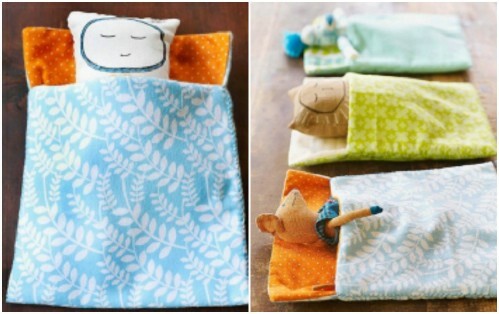 Use those leftover fabric pieces to create these adorable little sleeping bags for your kids’ stuffed animals. These are so easy to make, you’ll want to let the little ones help. Make a mini sewing kit that you can carry with you for those sewing emergencies, and use those scrap pieces of fabric to do it. This little gem is not only easy, it’s adorable, and you can easily make it in just an hour or so. It snaps together to keep those mini sewing supplies secure. 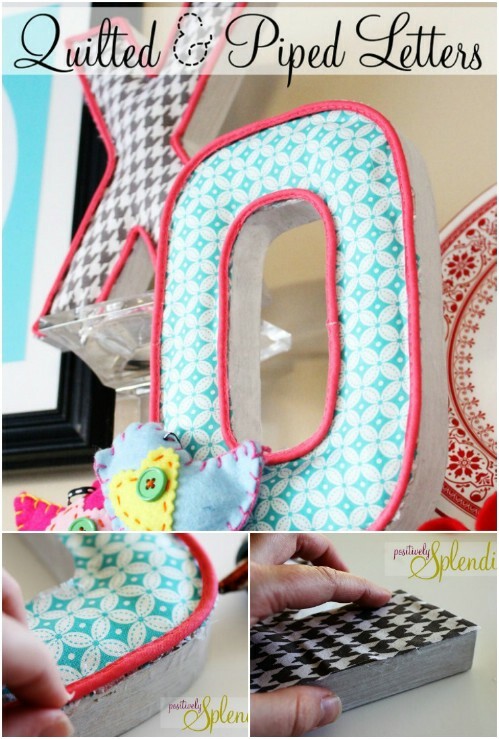 Whether you use these letters to teach the little ones their ABC’s or you want to embellish another sewing project, you’ll love how easy it is to create them. These larger ones are quilted and make a great display, but you could size them down for use as decorative accents on pillows or any number of other projects. These tiny little keychain purses take so very little fabric, but make a huge statement. Dress them up however you like. They’re the perfect accessory and great for kids and grown-ups alike. This zippered clutch is perfect for purses or makeup. You just need a few scraps of fabric, a sewing machine, and a few other supplies, and it’s much faster and easier to make than it looks. What a wonderful gift idea for someone special! 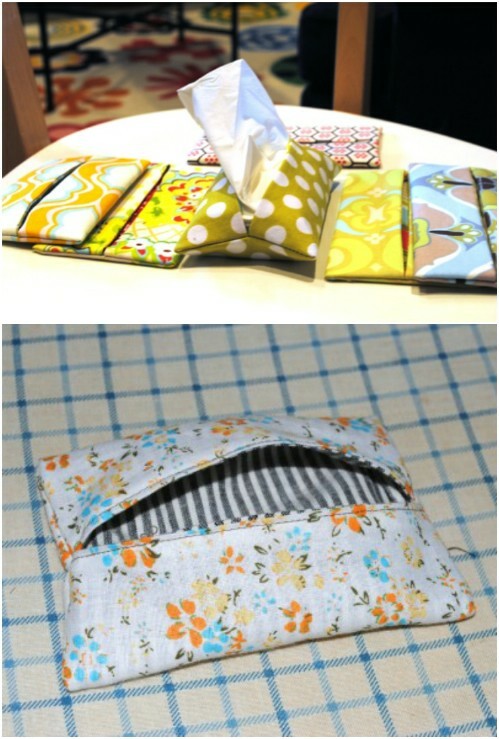 These little Kleenex pouches are easy to make and perfectly hold those little pocket sized Kleenex packs. Make several of these and use them for stocking stuffers, or just keep one for yourself. If you’ve got a little one on the way, or know someone who does, this adorable little baby blanket is perfect. 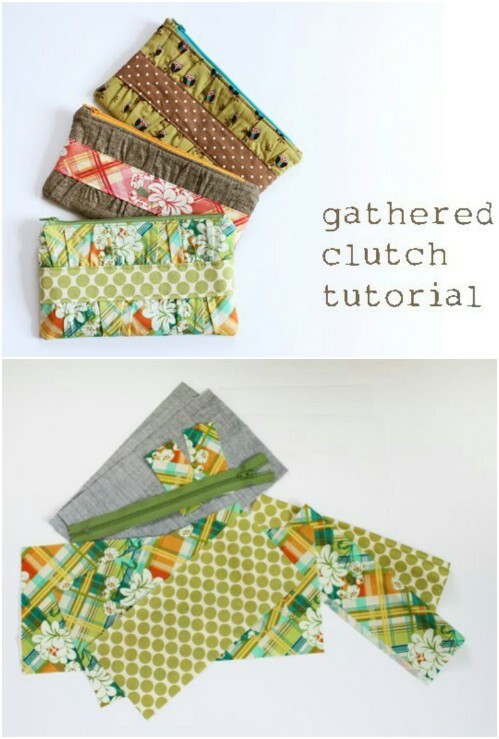 Coordinate your fabric scraps, or mix and match to make something really unique. It’s a gift any mother will love. 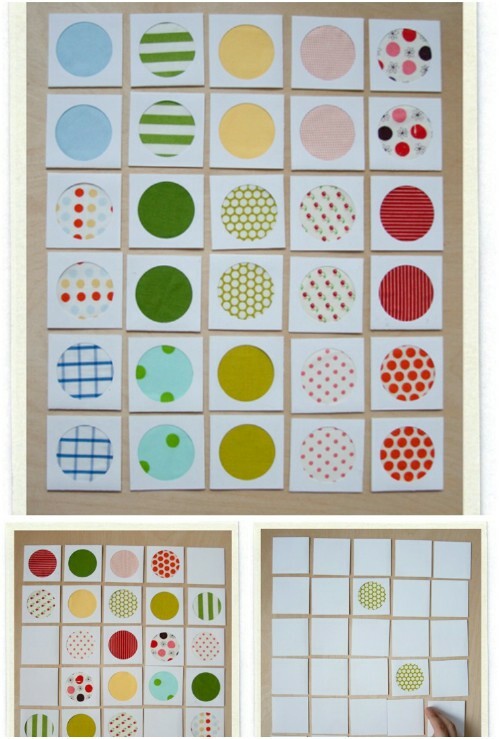 This fabric swatch memory game is the perfect thing to make with that leftover fabric. Kids will love it, and it gives them something to do on cold winter days. You just have to coordinate matching fabric circles, however many you want, and attach to cardstock. This gorgeous pendant can be made with the tiniest bit of fabric, and would be perfect as a gift. You’ll need a necklace chain, and a few other materials to make it. It’s easy to create, though and so beautiful. 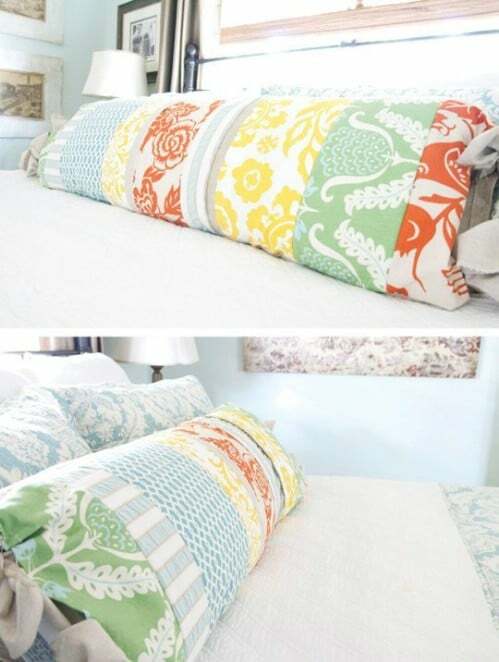 Sew those scraps of fabric together to create a beautiful bedding set. From the pillow shams to the comforter, you’ll have a gorgeous room, and if you have enough fabric leftover, why not create curtains or valances, too? 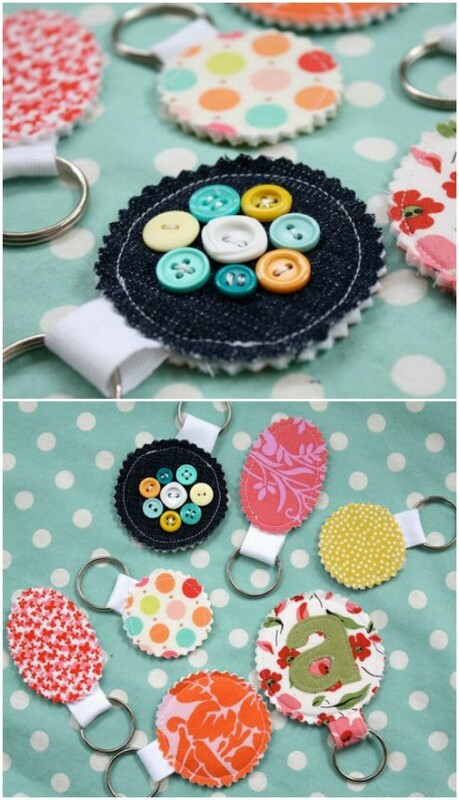 These tiny buttons are adorable and very easy to make. 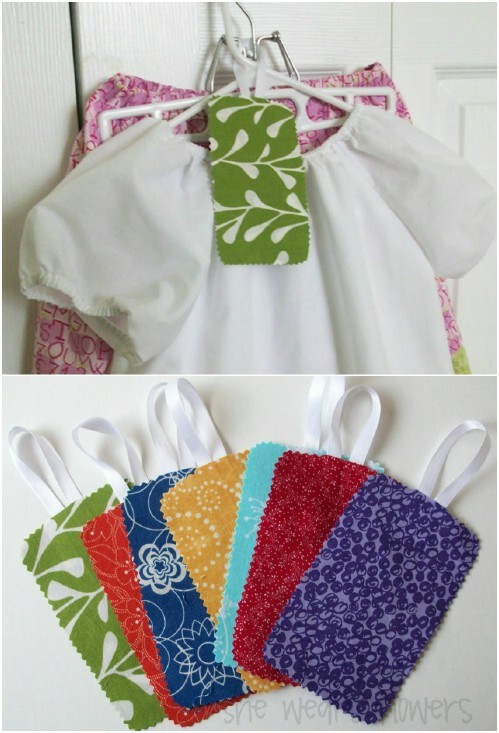 Use those scrap fabric strips as a base for cute buttons and dress up all of your favorite clothes. You can also use the buttons to embellish curtains, pillows, or any other craft project. Cover an old, or new, picture frame in scraps of fabric to make it really unique. 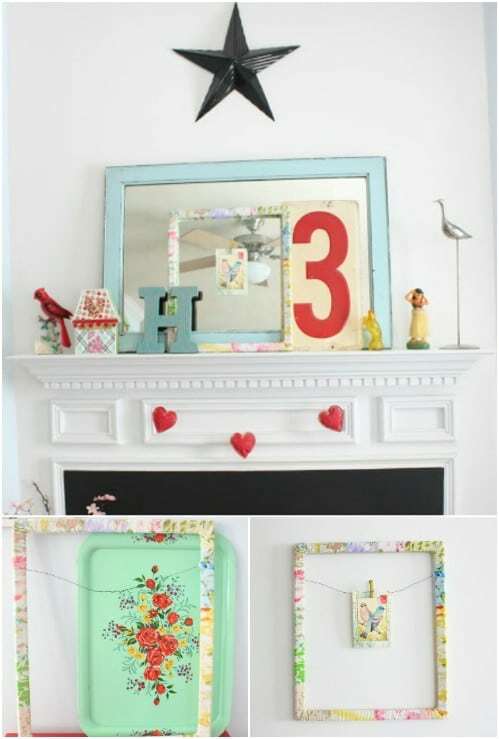 You just need strips of fabric and glue and you can turn any picture frame into a beautiful vintage looking frame that is sure to brighten up any room. Dress up any plain shirt with those leftover fabric pieces. Make your design and use the fabric to fill it in. 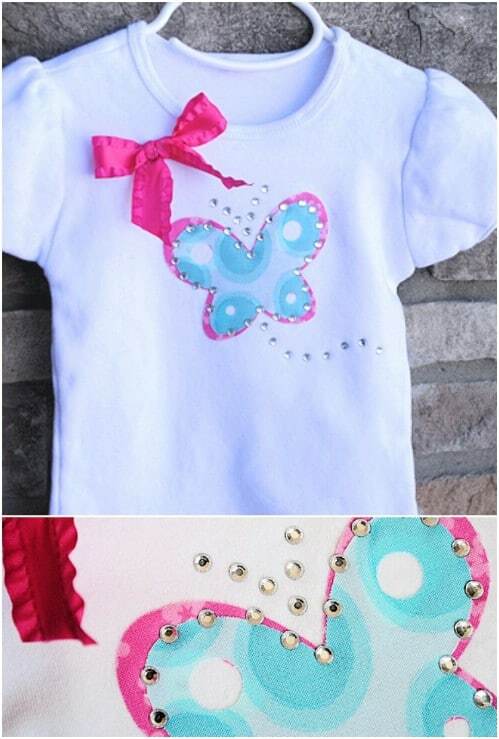 This is a great project for t-shirts or anything that needs a little embellishment. Pillows are our favorite things and this adorable fabric piece pillow is certainly no exception. We love that it’s just so easy to make and so unique. You can do different patterns or different colors; it’s all up to you. 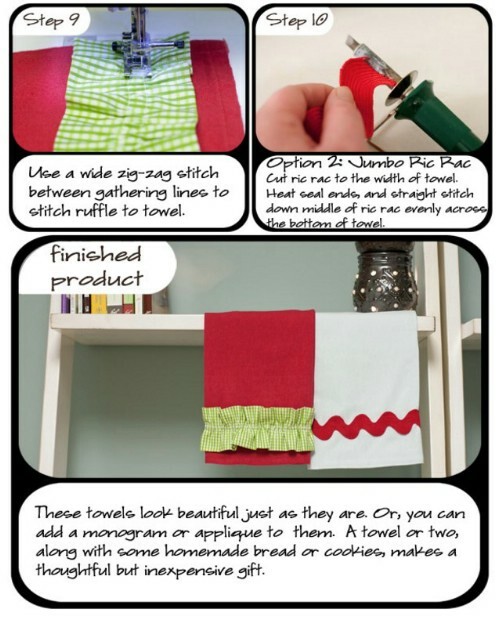 We absolutely adore this trimmed towel idea, especially with the Holidays coming up. What better way to take care of those gifts on your giving list than with homemade towels, and trimmed in none other than your leftover fabric pieces? 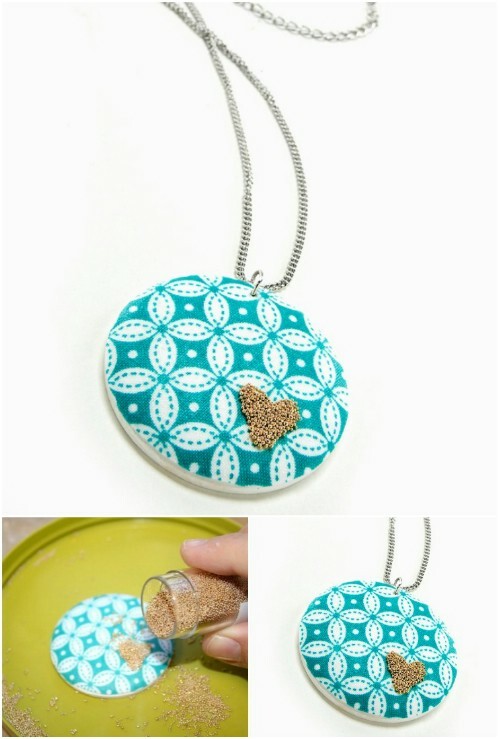 Here’s another gorgeous jewelry idea to make from those leftover fabric swatches. 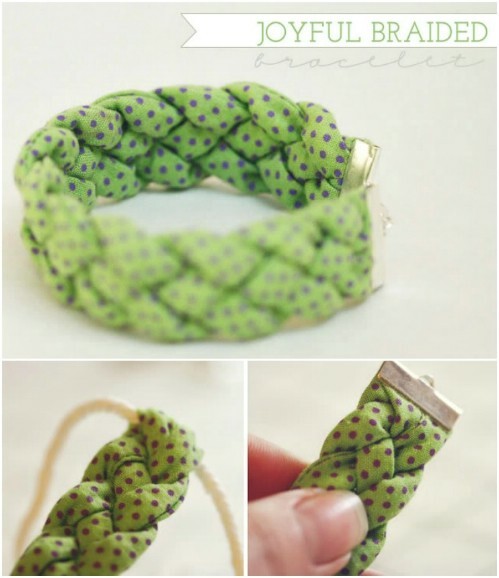 This braided bracelet can be done in any color or design, and will make a wonderful gift idea. It just takes a small bit of sewing, and is perfect for pre-teens and teenagers. This is the perfect way to use up some of those fabric scraps and it’s one of the easiest projects we’ve listed so far. Create this brooch for dressing up hats, jackets, or anything you want. So, if you have enough scrap fabric or if you want to just save them all for a rainy day, you can use them to create unique and colorful binding. Use your binding for other projects like quilting or piping. Just keep adding to your scrap fabric pile until you have enough. Ok, so it’s not close to Easter, but you’ll want to create some of these eggs for just decorating around the house in general. You just cover plastic eggs in fabric. Do different colors to match each season or just wait until spring if you want. Either way, you’ll love how easy these are. Turn fall colored fabric scraps into this adorable pumpkin décor. You’ll love how easy this one is to make and you are sure to be the envy of your neighbors. 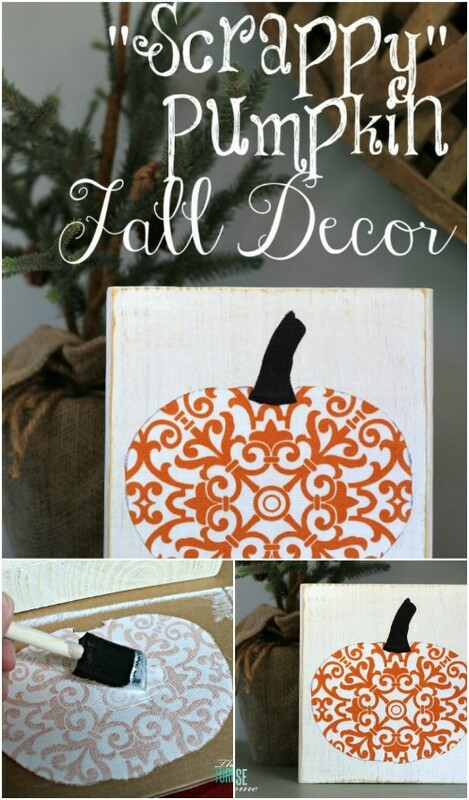 Just cut out the pumpkin shape from your fabric and attach to a base. You can buy plain tea towels at any craft store, or if you just happen to have some on hand, use your scrap fabric to customize them. 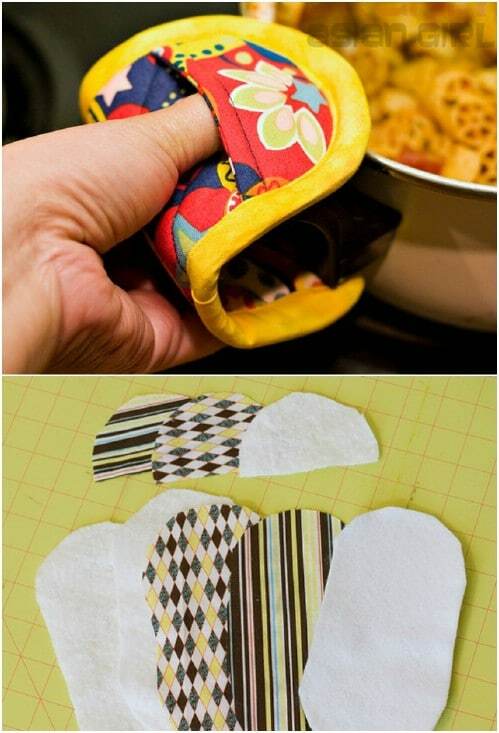 Just cut out your chosen shapes or designs and attach to the tea towel. This is also a wonderful gift idea. This easy Christmas tree ornament is perfect for all skill levels, and would be a great project for the kids. Turn scrap fabric pieces into adorable little ornaments for your mini tree, or make them bigger and create a completely homemade Christmas tree this year. 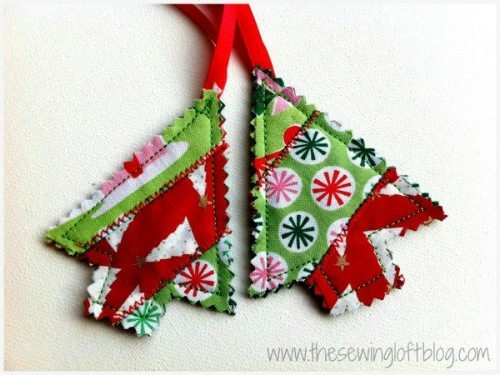 These quilted ornaments are actually little Christmas trees, made from your scrap fabric. They’re perfect if you want to create a vintage tree or you can hang them from your wreath or even use them as decorations on gifts. However you use them, you’re going to adore them for their cuteness. DIY Instructions and Project Credit: thesewingloftblog. Make this gorgeous vintage looking crib mobile with a few scraps of fabric and a few other supplies. What child wouldn’t absolutely love this? You just wrap the fabric, gluing it as you go. This is the perfect unique gift for the next baby shower you attend. 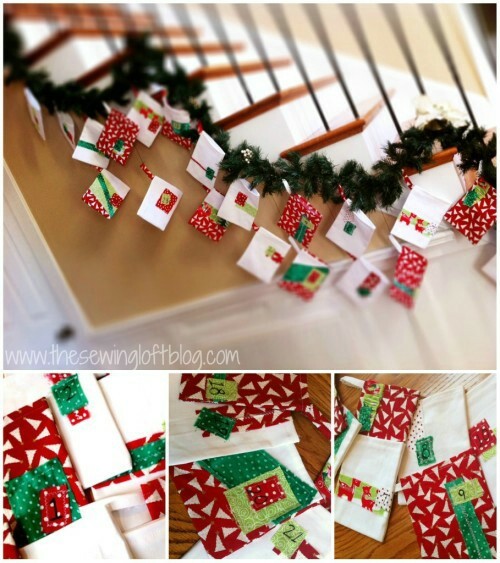 Make an Advent calendar out of those fabric scraps. The kids will simply adore this one and it won’t cost you much if you use items like toiletries and other inexpensive little gifts. It’s really easy, too and makes a wonderful decoration when it’s all done. 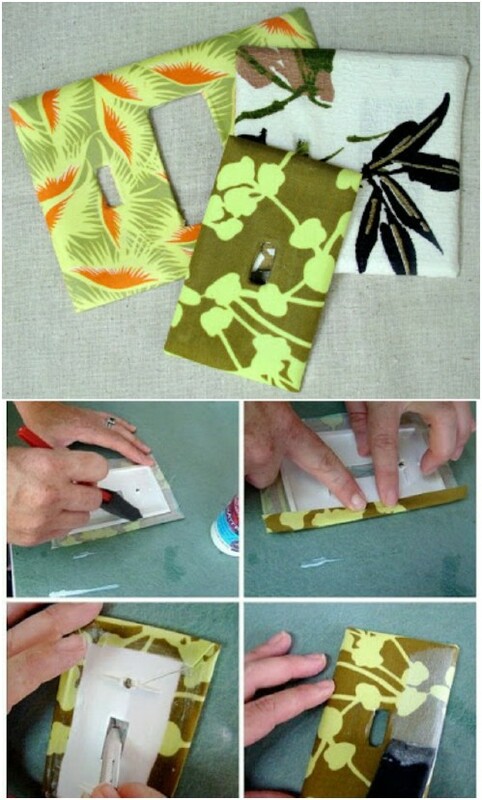 Decoupage those boring old light switch covers with some fabric scraps. Just glue the scraps over the cover like you would a traditional covering, and make them as unique as you want. This is the perfect time to pull out that Mod Podge! The next time you need to dress up a cake, or cupcakes, put that scrap fabric to good use and make these cute little cake flags. Super easy to make, these little flags make a big statement, and are sure to thrill guests at your next dinner party. Oh, this garland is just too gorgeous for words! You just take strips of fabric and put it all together with some matching, or not matching, ribbon to create this beautiful décor. You can use these for baby showers or just hang one above the mantel for a little extra country chic. Believe it or not, this basket is super easy to make and requires absolutely no sewing. 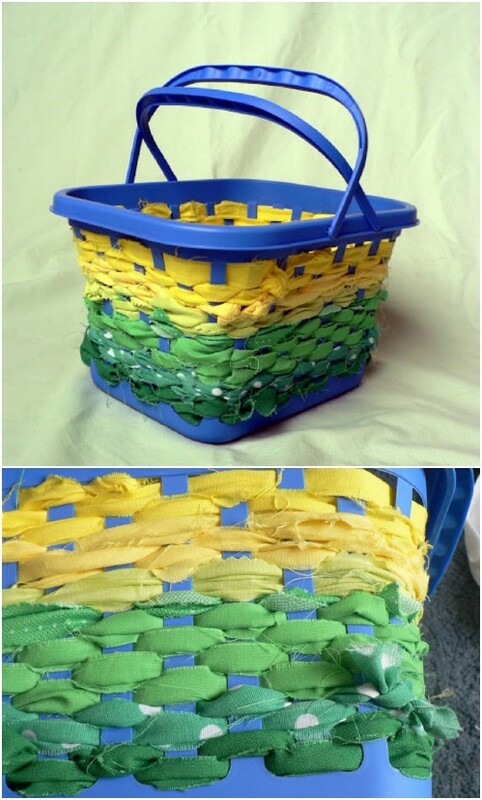 You just work the scrap fabric like a weave to cover the plastic basket and what you end up with is an amazing basket that looks like it cost you a fortune. Dress up your fall wreath with some autumn colored scraps of fabric. 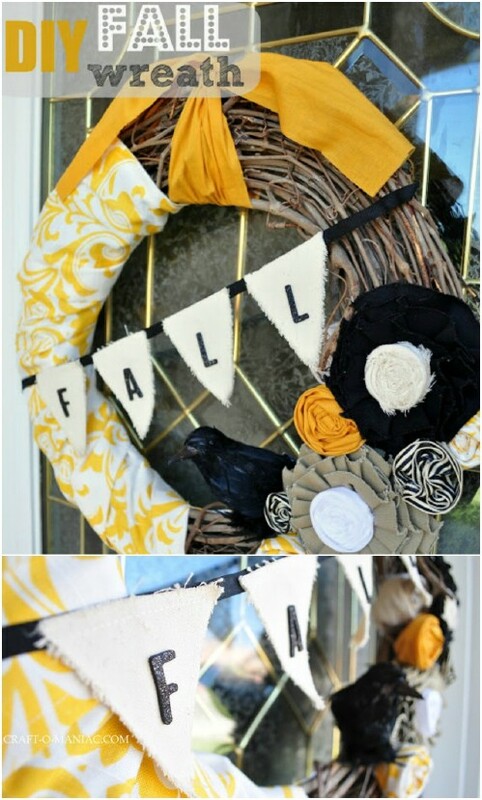 Just take a wreath form and wrap your scraps around it, then embellish with any type of fall decoration. This is a really easy project that will take you about an hour to complete. 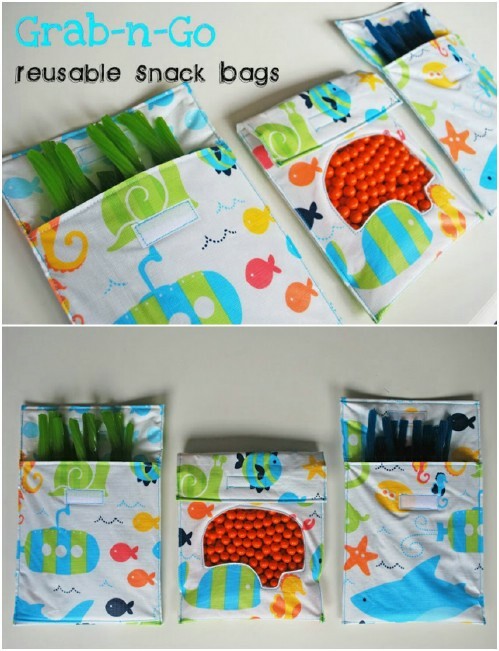 Use those fabric pieces leftover from other projects to create these grab and go snack bags with a sneak peak window. Kids can see what they’re grabbing and you can organize your snacks. Plus, these are really easy to make. 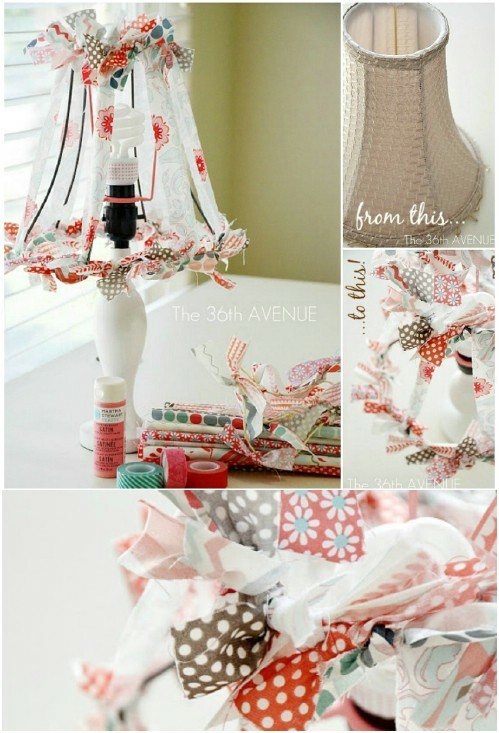 Turn those scraps of fabric into a lovely vintage lamp shade that is super easy to make. You basically just take strips of fabric and tie them together. This is a great lamp shade for any room and will let you use up those fabric scraps in style. 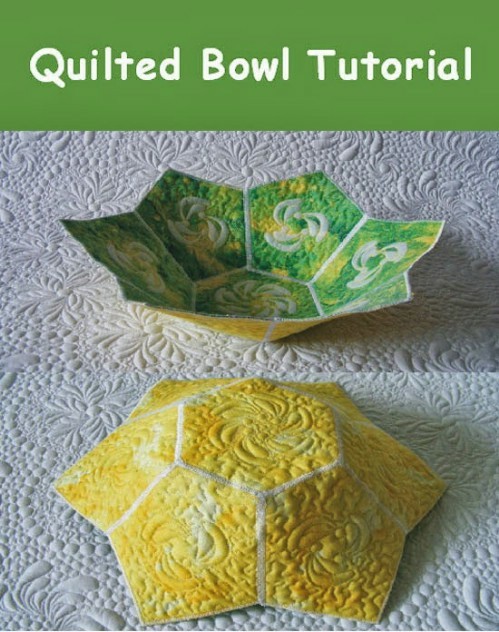 Quilted fabric pieces, or you can quilt them if you need to, can be put together to create this amazing bowl. This is a relatively easy project and one that is sure to gain attention. Imagine the things that you could keep in this gorgeous bowl! 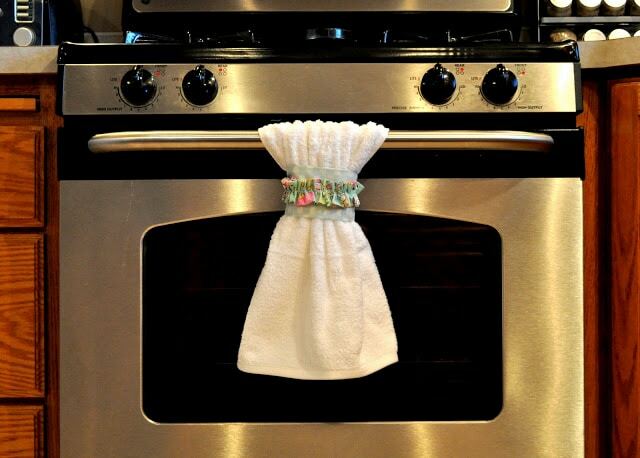 Use up those scrap pieces of fabric and save yourself some heat in the kitchen with these amazing hot pads. They’re relatively easy to make, although there is some sewing involved. They also make great gifts. Here’s another easy project to use up those scrap fabric pieces, and another one that will make the perfect gift. These are great if you have little ones or if you know someone who’s expecting. What better gift than a homemade one? Help the kids with their homework projects or just create this fabric scrap map for home décor. 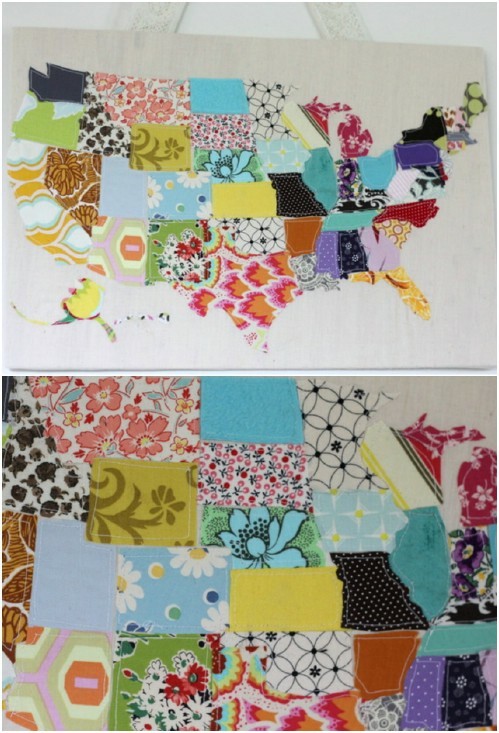 This makes gorgeous wall art, and you can have a great time choosing appropriate fabric pieces for each state. While it may not be St. Patty’s Day yet, it’s definitely coming and before it gets here, take some time to turn a few of those scrap fabric pieces into this amazing shamrock. 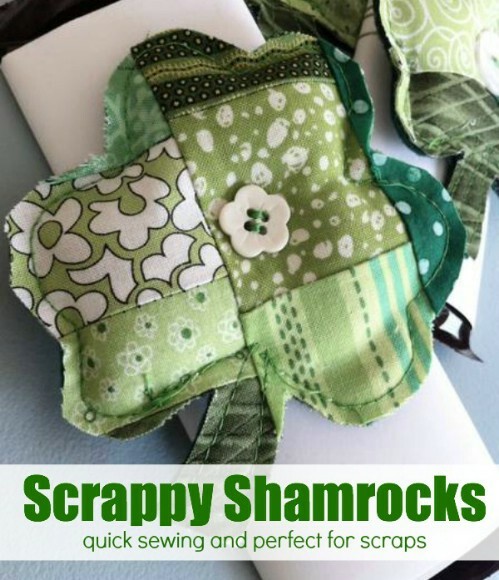 This is an easy project that’s perfect for all skill levels and lets you create an adorable little shamrock with those green fabric swatches. 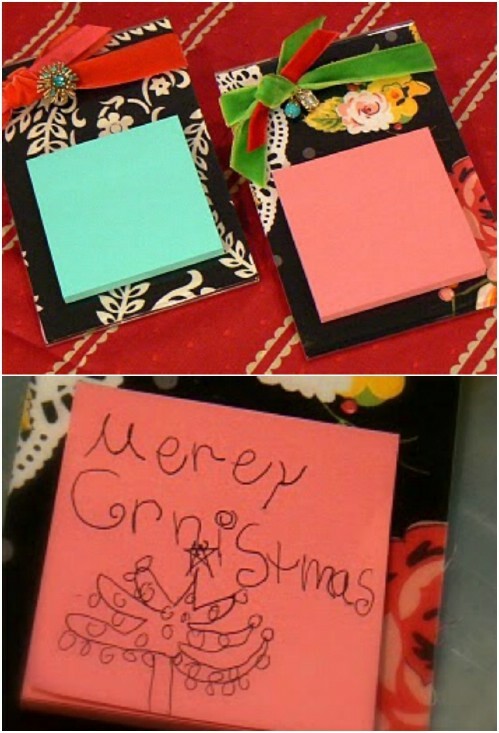 Dress up your desk or create this great sticky note holder for a teacher for the Holidays. 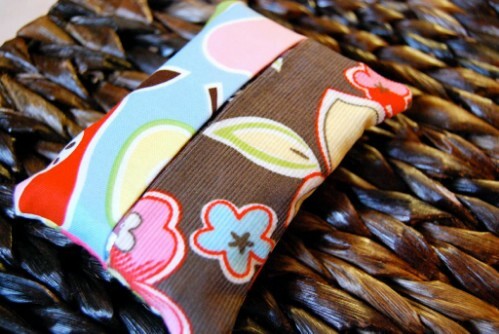 This easy to make holder uses just a small piece or two of fabric, and is really beautiful when it’s all put together. The Post It notes just slide right in. These great closet tags are not only easy to make, they are very helpful when it comes to keeping your clothes organized. 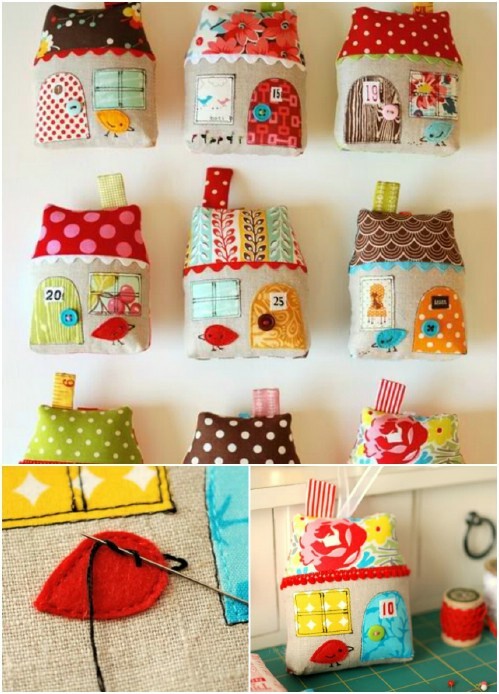 Made from tiny bits of leftover fabric, they are great for kids and will help you to keep every closet in your home sorted and perfectly organized. Fabric band aids? These are just too cute, and they are so easy to make. Kids are going to absolutely adore wearing these, and so will you! 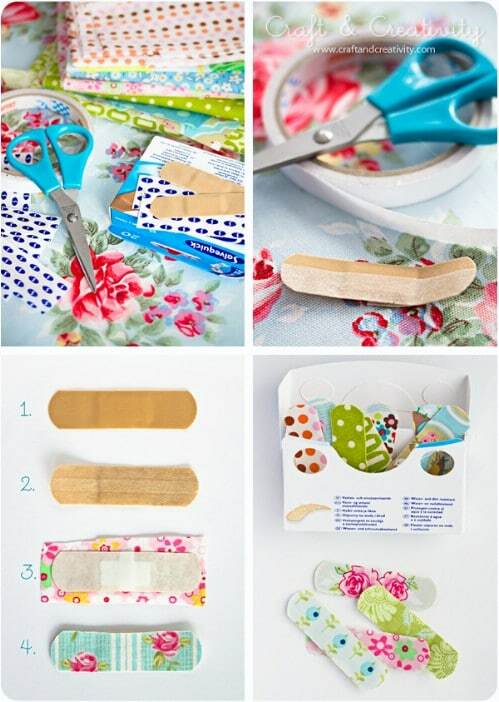 This is a great way to dress up that first aid kit, and give those boo-boos a little extra fancy covering. 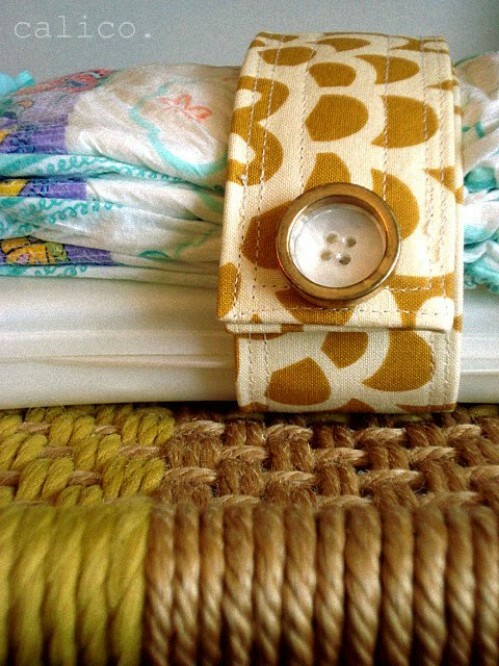 Keep those loose diapers organized on the go with this adorable diaper strap. It’s made from just a strip of leftover fabric and you can use Velcro to keep it together or put a button on if you prefer. This is yet another great baby shower gift idea! 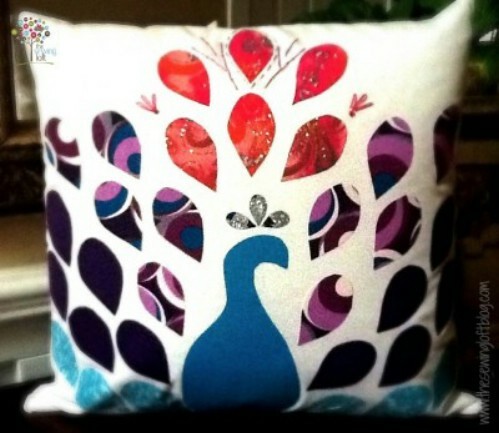 Take an afternoon and create this beautiful peacock pillow from those fabric scraps and a few other supplies. 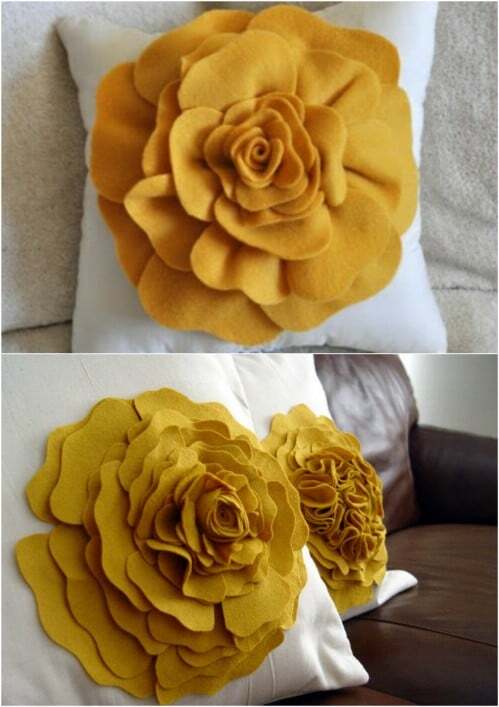 These are great for decorating up the couch or you could make a pair and use them as a gift. This is a great little project, and one that only takes a couple of fabric scraps and some batting. 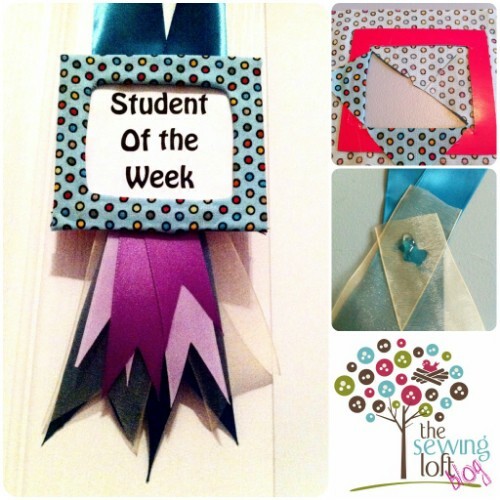 Create a holder for business cards. 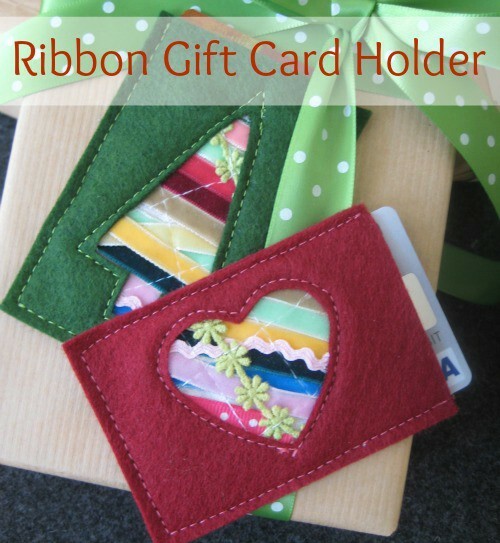 You can use this to keep the business cards in your purse organized or give it as a gift. 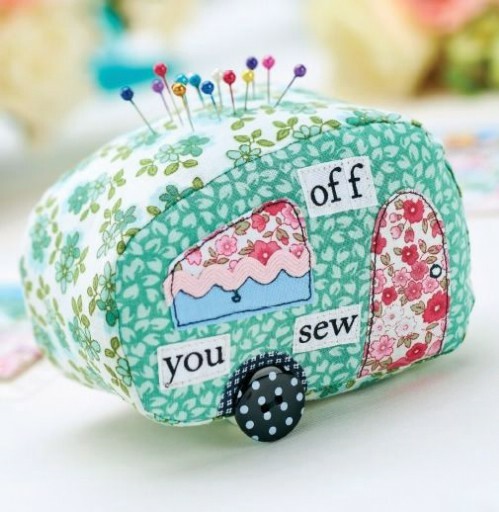 This cute little pin cushion is a travel trailer, but you could do this in any design or pattern you want. The idea is to use up those leftover scrap pieces, and turning them into a pin cushion is a wonderful idea. 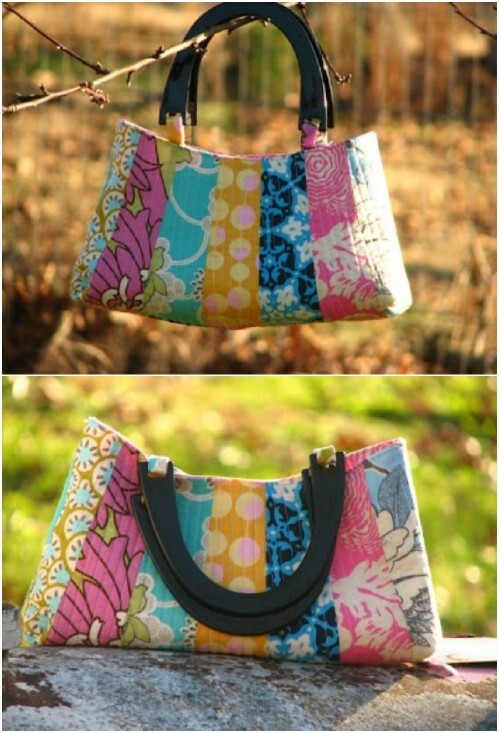 Use strips of leftover fabric to create your own unique and very stylish handbag. Those quilted or scrappy bags are all the rage and you can make one for yourself, and incidentally save hundreds of dollars. Create an award necklace or ribbon to give to your child when he or she does something amazing. These are really easy to make and will instantly bring a smile to any child’s face. Imagine the projects that you could pull off if you had an endless supply of fabric tape! 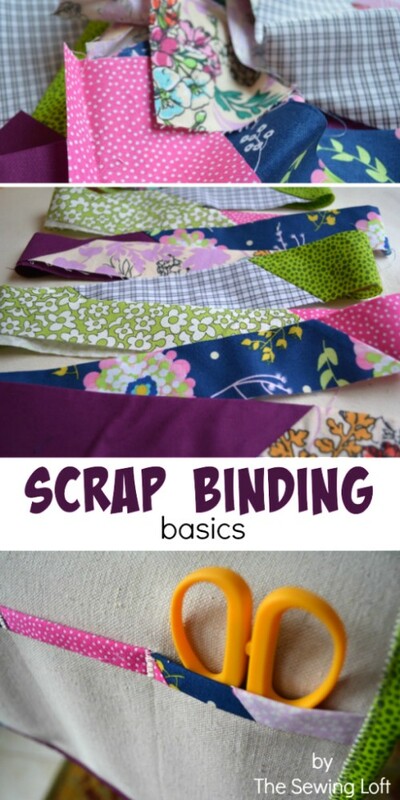 You can if you turn those scrap pieces into fabric tape. Just stick your fabric strips into double sided tape and then trim to fit. How easy! 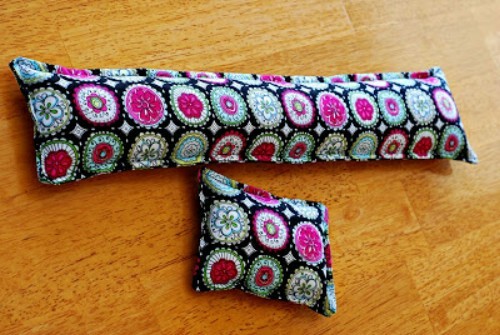 Make your own relaxing eye pillow with all that leftover fabric. You’ll also need things like rice or other lentils, and a few other supplies. 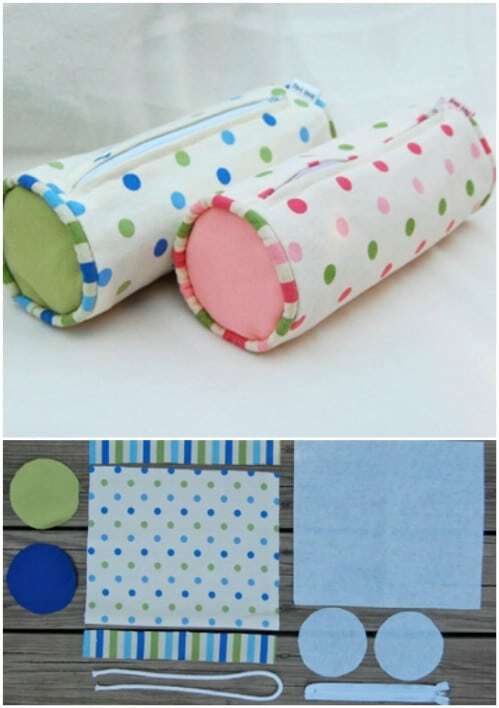 This is one of our favorite scrap fabric projects, because not only does it use up those scraps but it gives you a relaxing eye pillow to take the strain off after a long day. 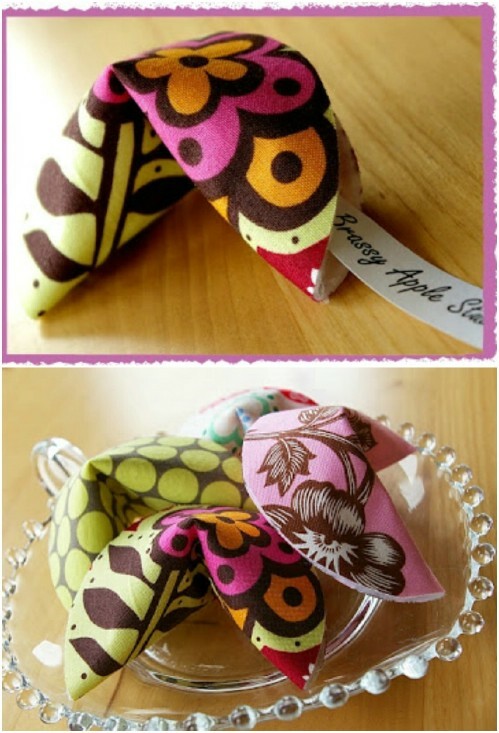 Oh my goodness, these fabric fortune cookies are so adorable. 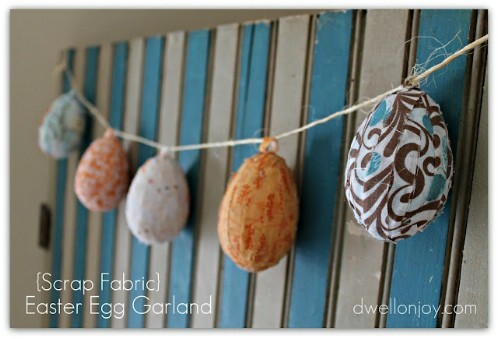 You can use these any time of the year, and they each take just a little strip of fabric. Don’t forget to put a nice little note in each one and use them as gifts or for your own home décor. 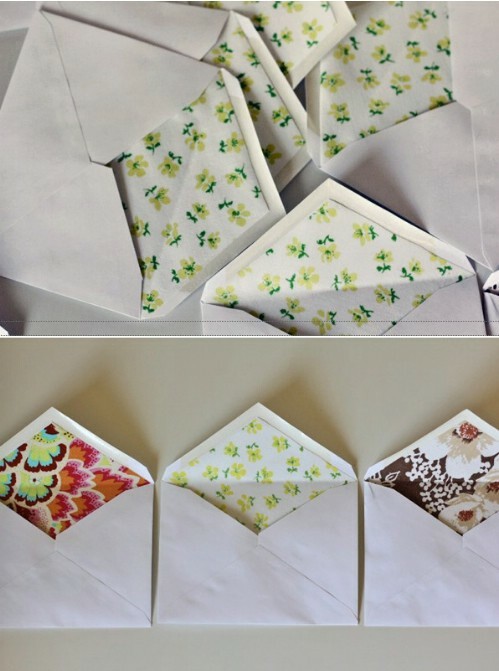 Turn that scrap pile into these adorable fabric lined envelopes. These are great for giving out birthday cards or for sending a special note to someone you love. You just cut and then glue fabric to the inside of the envelope – so easy! 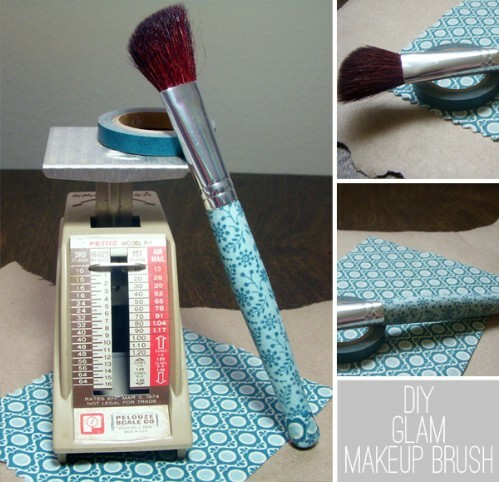 Buy an ordinary, plain makeup brush at the Dollar Store (you can get a whole set for about a dollar) and then dress them up with your fabric scraps. Just wrap the handles and glue. These would make wonderful gifts for those glamor girls in your life. 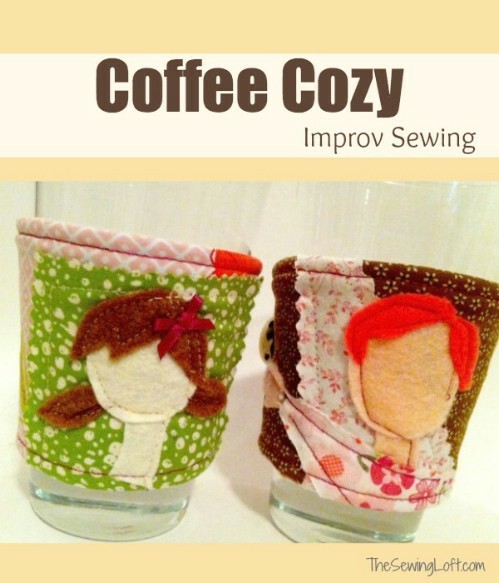 These adorable little coffee cup cozies are the perfect gift for yourself or someone special. You can mix and match the design, just create whatever you want. You’ll really appreciate how easy this one is and it takes just a small bit of your fabric scrap pile to create. 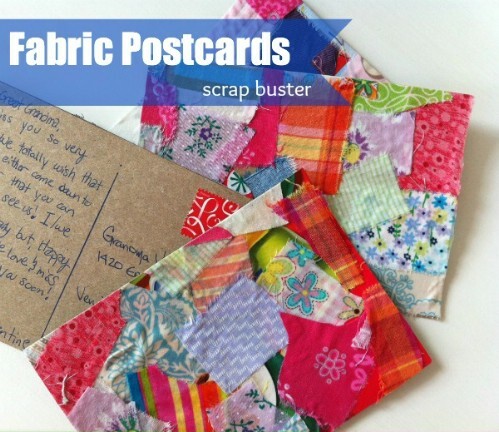 Turn those scraps into these collage postcards to send or to use for your home décor. They’re vintage looking and very unique. 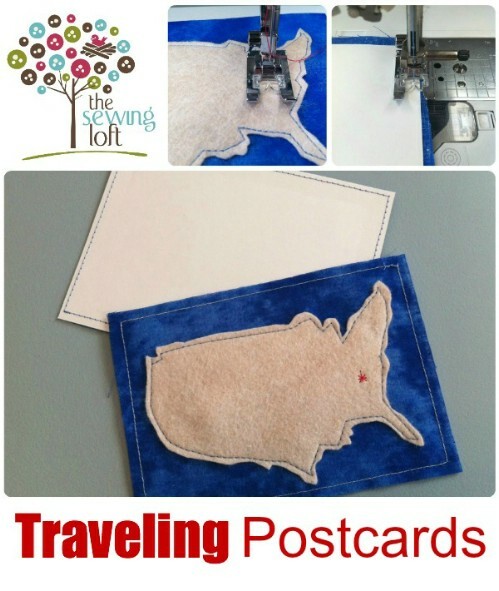 If you’re planning a trip, these are the perfect postcards to take along to send home to your loved ones, and all you have to do is glue your fabric to cardstock. Sew together a few strips of fabric and fill with rice to make this easy wrist rest for the keyboard. This is such a simple project and one that will definitely come in handy if you sit at the computer and type all day. 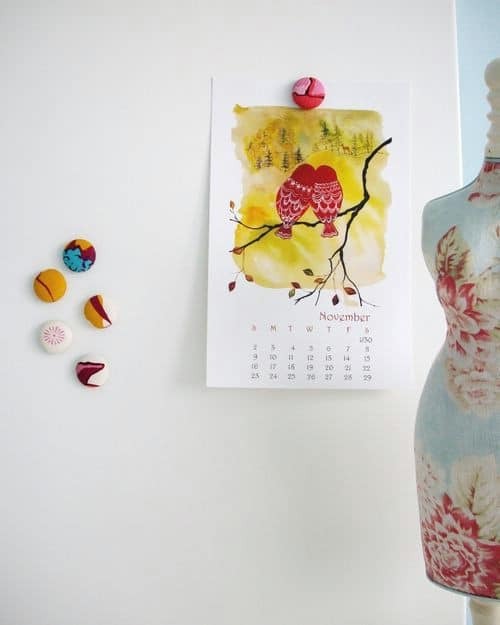 Make these chic refrigerator magnets by simply covering regular magnet with some of your leftover fabric pieces. You can make these in any size or shape. They’re a wonderful way to add a little rustic charm to your kitchen or office. Store bought gift card holders are so boring. 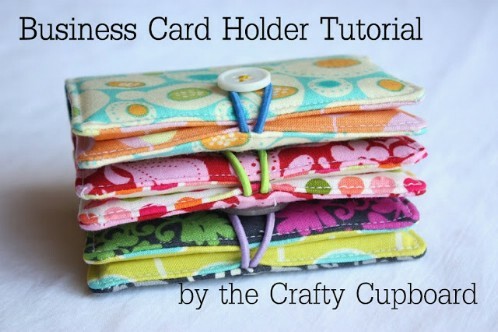 Try using some of that scrap fabric and making these adorable card holders instead. They’re unique and a lot less expensive than those boring ones they sell in stores. 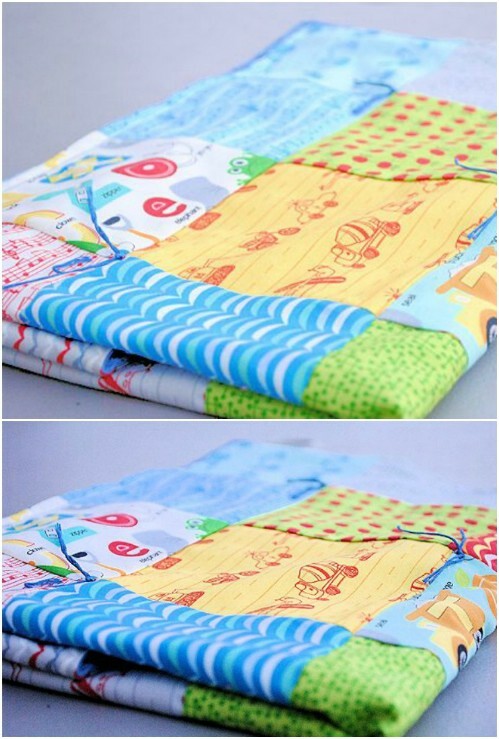 Why not use your scrap fabric to make future sewing projects easier? 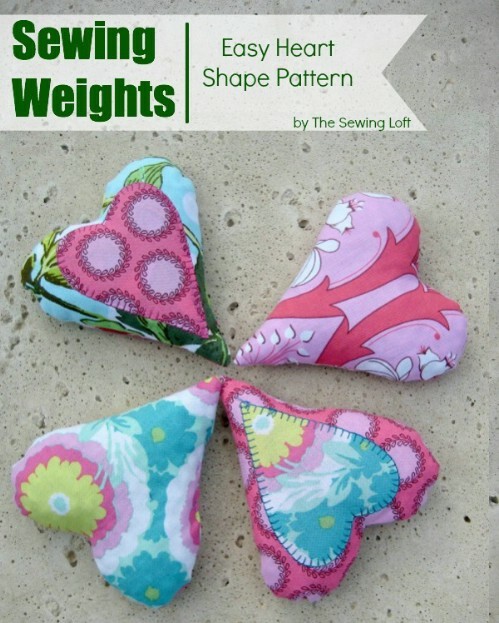 These sewing weights are really easy to do and are perfect for those of you who hate using pins when you sew. Cut them into any shape you want and then just fill with metal washers. Yes, you absolutely can make shoes from those leftover scrap pieces. How adorable are these? 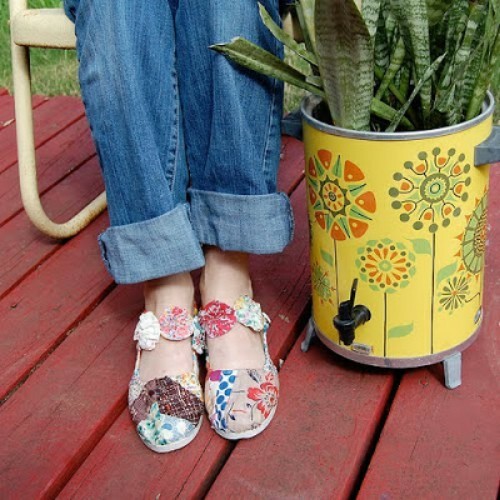 Even if you’ve never made shoes before, these really aren’t that difficult, and they are really cute; perfect for gardening. If all else fails and you can’t find a scrap project that you want to do, just turn those scraps back into fabric yardage. Sew them all together and then just cut out your patterns like you normally would. You’ll get a great look from the scraps and you can tackle those larger projects, too. 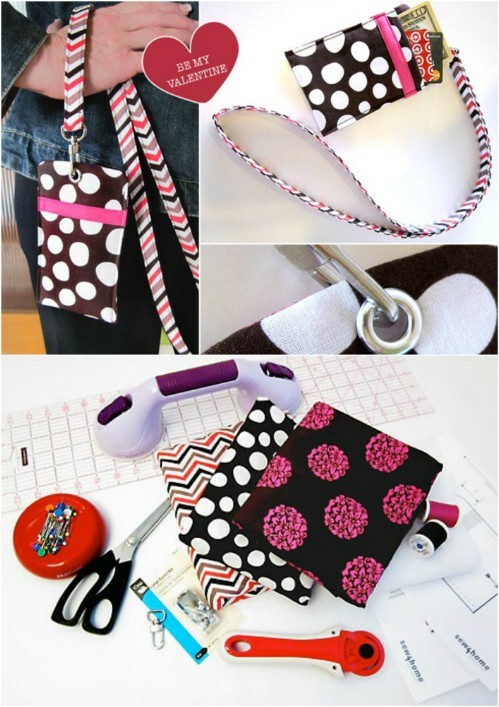 Turn those scraps into this adorable shoulder strap that makes carrying your handbag much more comfortable. You can use a snap closure or a hook and loop, and make several so that you’ll have one to match every bag. 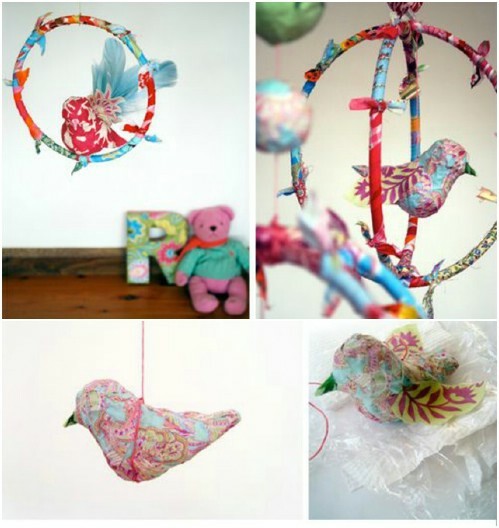 Turn the nursery into a paradise with these whimsical birdies that you can create from your scrap pile. 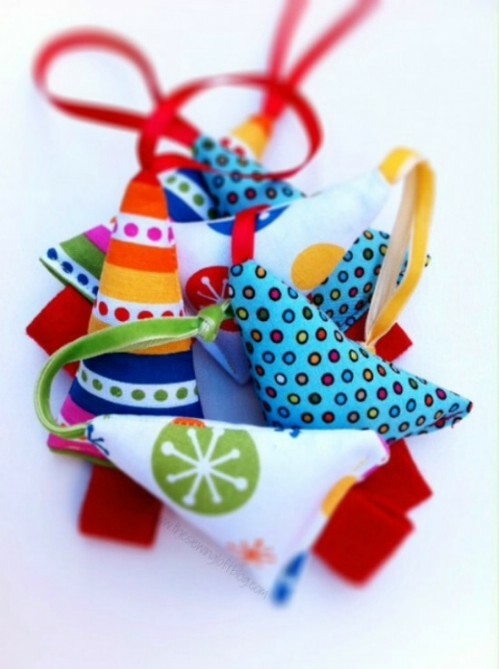 They are easy to make and you can use them to decorate pillows or other things, or just use them as toys. However you use them, you have to admit that they’re adorable. These scented pins are easy to make with a few scraps of material, some embroidery thread and lavender, or whatever dried flower you want to use. You’ll also need to pin to attach and whatever trim you desire. 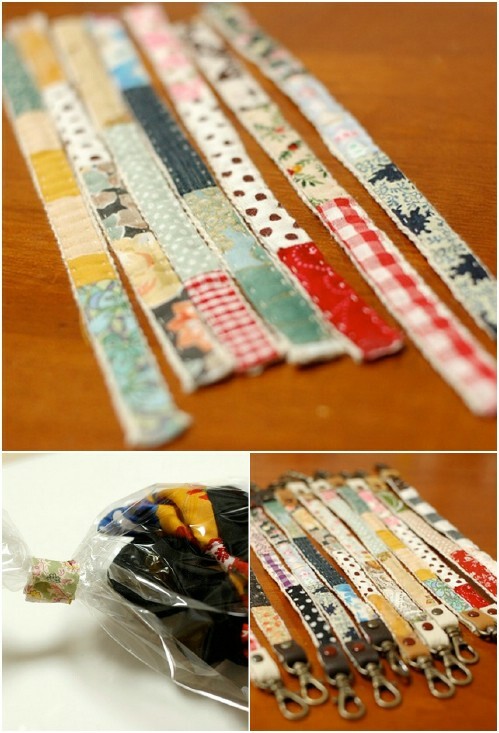 So, take all of those cute little scraps that you have on hand, sew them together, and then create these adorable belts. You can do these for boys or girls and the only extra hardware you need is the closure. 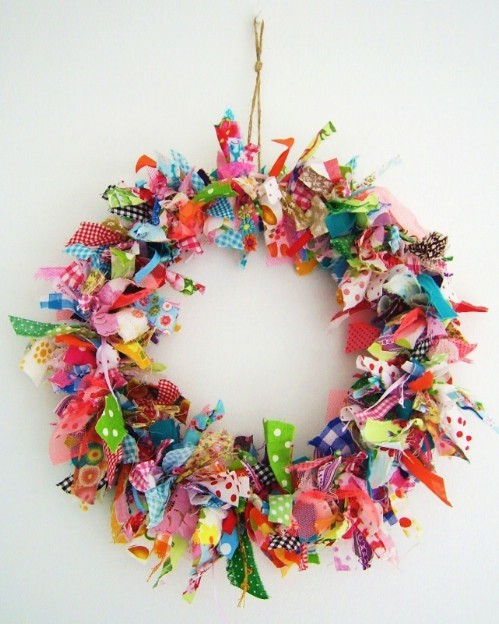 If you’ve got a lot of fabric scraps with spring colors and pastels, use them to create this stunning spring wreath. You just tie the scraps around the wreath form, which gives it a wonderfully rustic and country look. 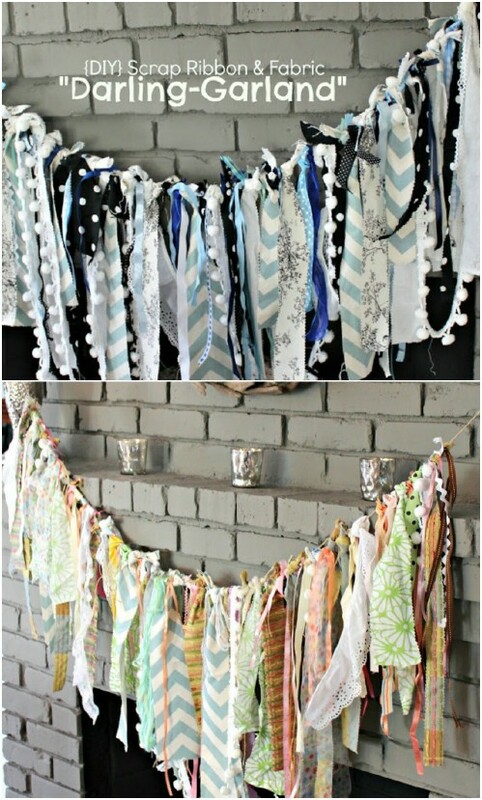 These are great projects to do with old t-shirts or any fabric swatches that you have just laying around. 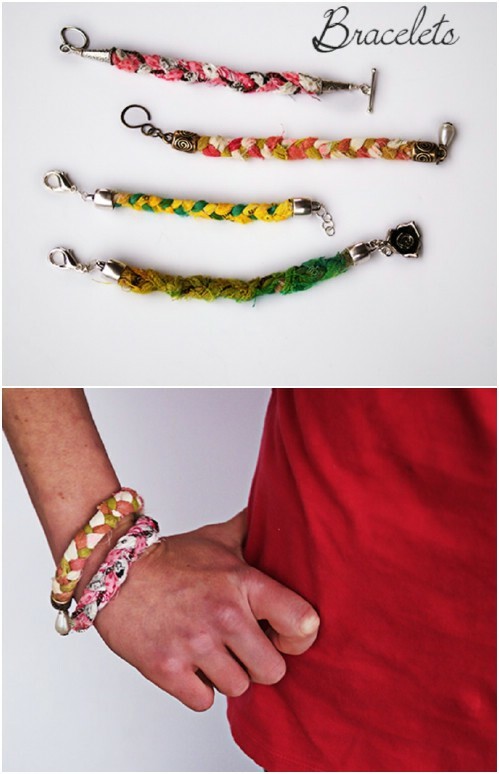 You just cut your material into strips and then braid into these adorable bracelets. This is so easy even the kids can do it, and it definitely gives them a fun project for when the weather isn’t cooperating. 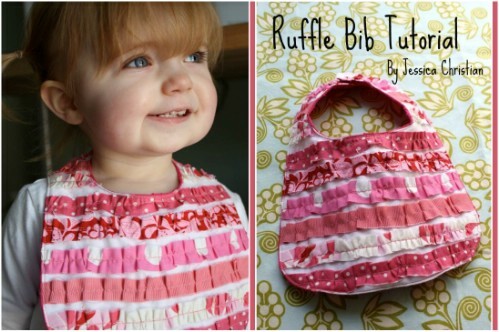 We love DIY baby supplies and this ruffled bib is great. Take those scraps of material and use them to create something perfect for giving at an upcoming baby shower. You just sew your created “ruffles” onto the front of a regular bib and you have the most unique gift at the shower. 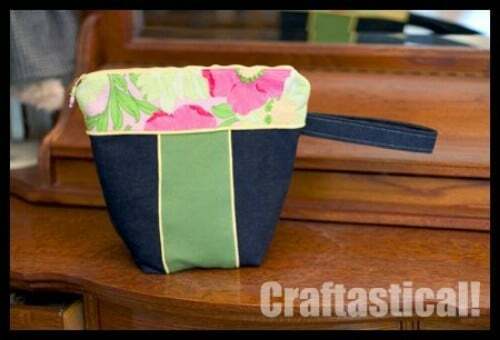 Here’s another great bag that you can create with your fabric scraps, and one that is really easy to do. Add a zipper or you could use Velcro or another closure if you don’t want to bother with sewing in a zipper. Either way, this is the cutest bag. Here’s another take on the tissue cozy, and one that would make the perfect gift for the upcoming Holidays. There is very little sewing required and it takes very little fabric. You just basically need enough to cover a small pack of tissues. Make these wonderful postcards of the U.S. or pick and choose your state. If you are planning to travel, these are perfect for sending to friends and family to show them where you’re going or where you’ve been. They’re also so easy the kids can do them. 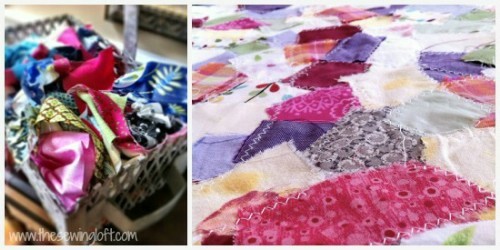 If you have a lot of scrap fabric, then this DIY rag rug is definitely something to consider. It’s vintage and chic look is great for any room, and it is so easy to make. Do one in blues for a boy’s room, pink for girls, or mix it up a bit. The possibilities with this one really are endless. 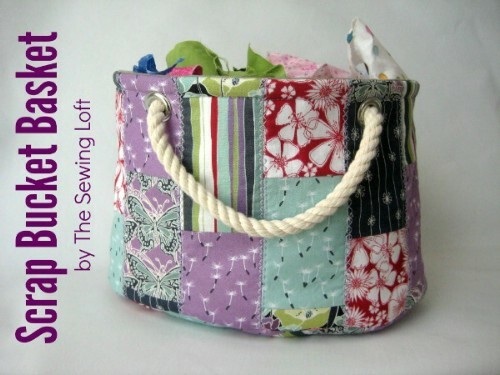 Finally, we’ve found this amazing fabric scrap bucket that’s not only made of fabric scraps, it gives you the perfect place to keep your scraps in the future. You know, so that you can save them up for all the other projects that we’ve found for you. 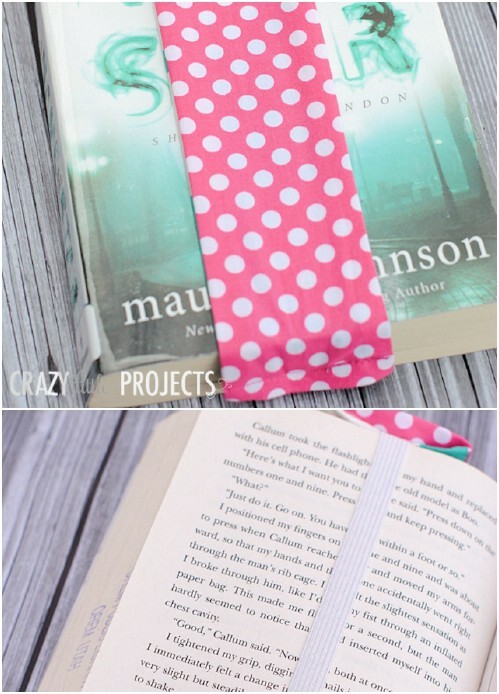 This crafty post involves a cute little zippered pouch that you can make yourself. 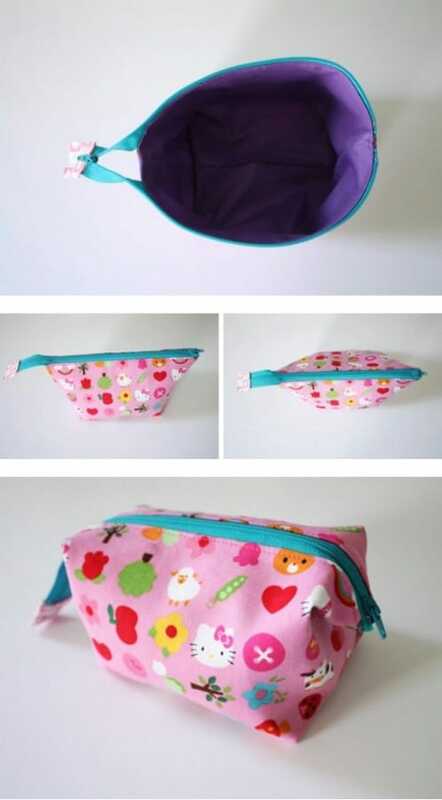 The tutorial is from Bored & Crafty and it shows you everything that you need to make this adorable pouch. 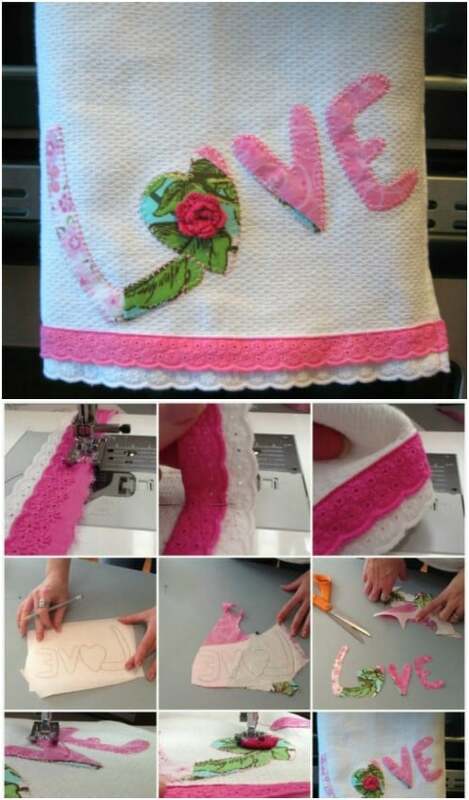 Even if you don’t use a sewing machine a lot, this looks relatively easy and you can make it in so many different colors and patterns. We love the contrasting corners but you can do it however you want. As easy as it is – and inexpensive – you may just want to make lots of these so that you’ll have them for gift giving during the holidays.